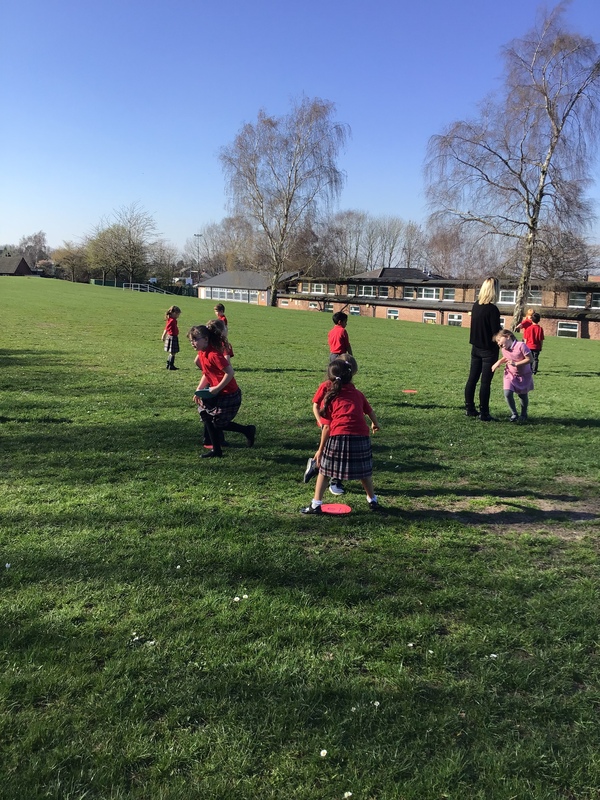 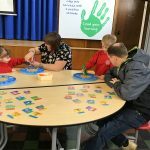 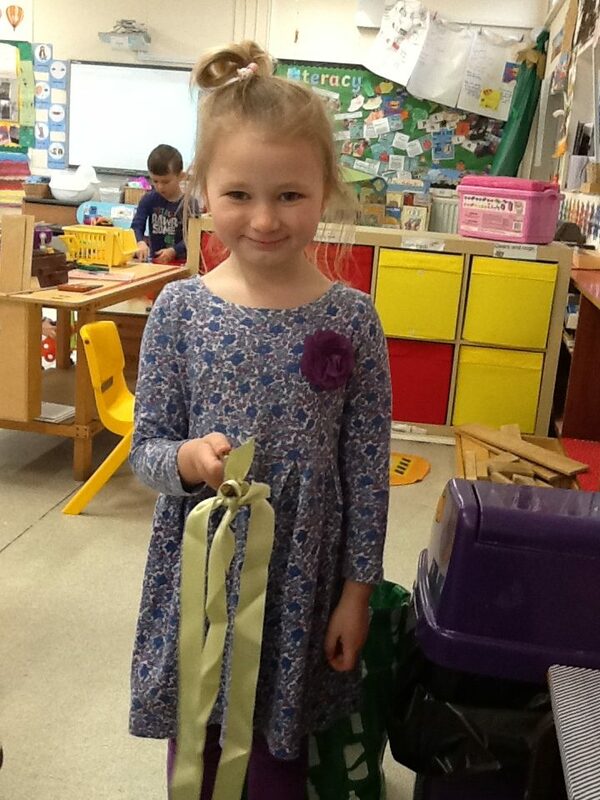 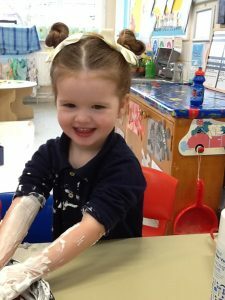 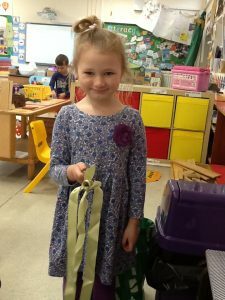 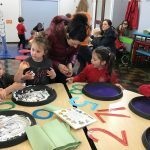 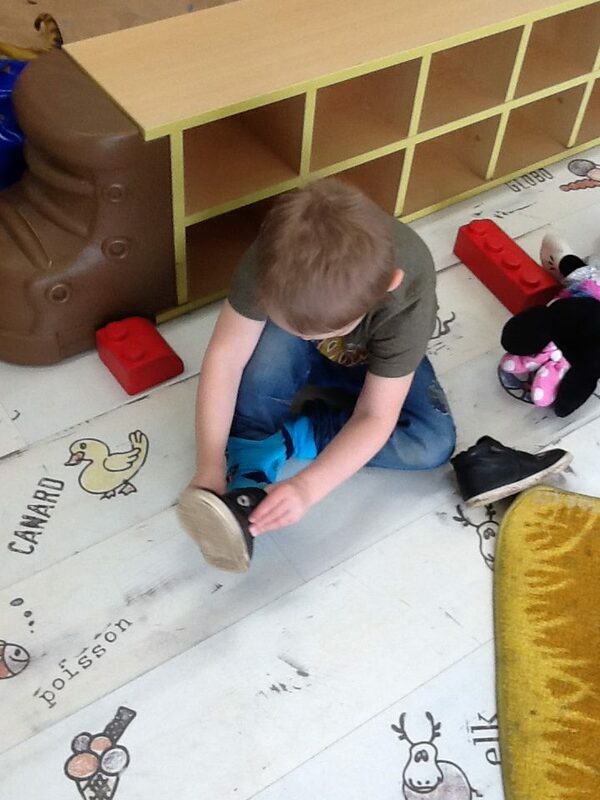 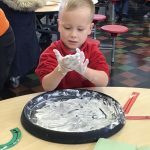 This morning the children in Reception and Nursery had a stay and play event with their families. 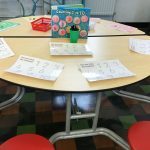 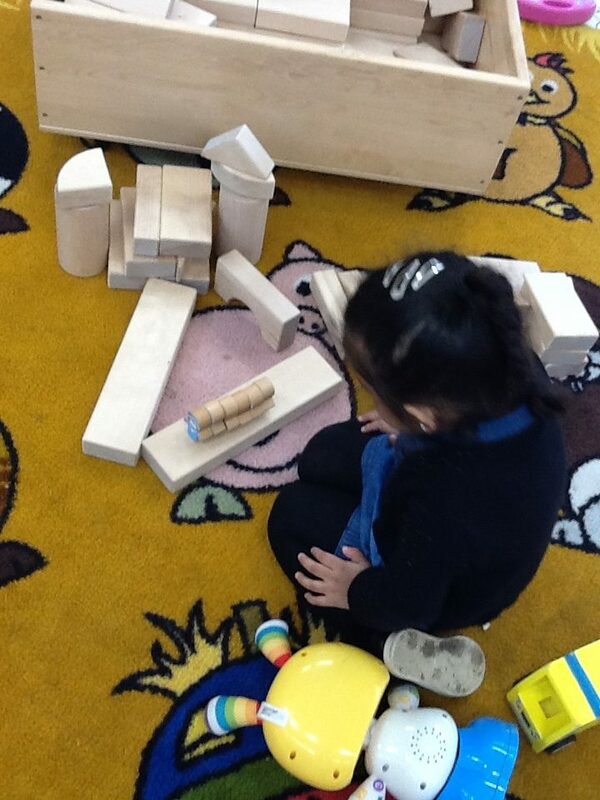 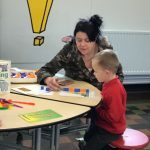 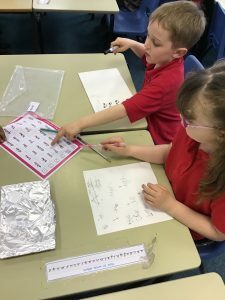 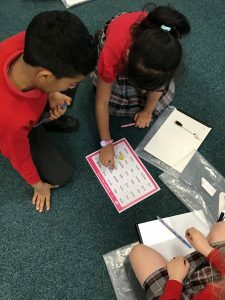 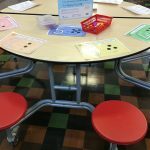 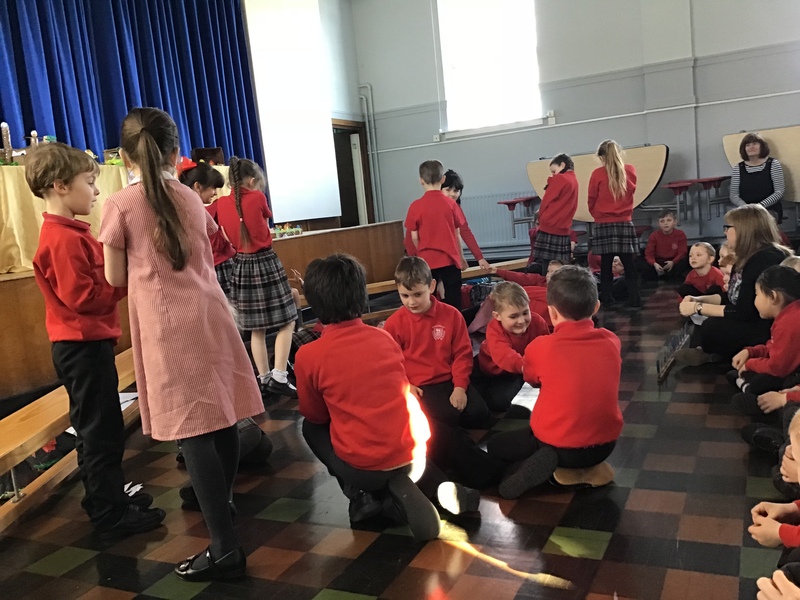 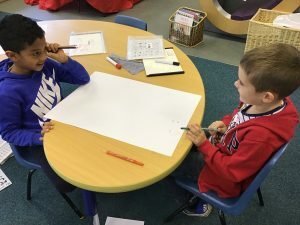 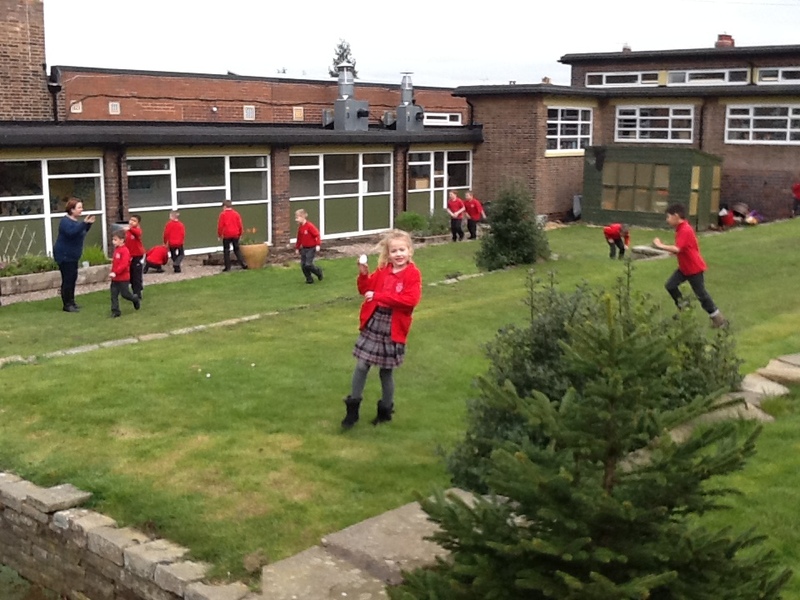 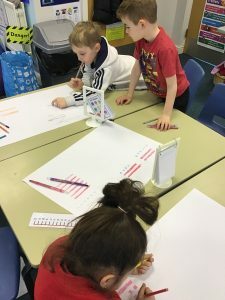 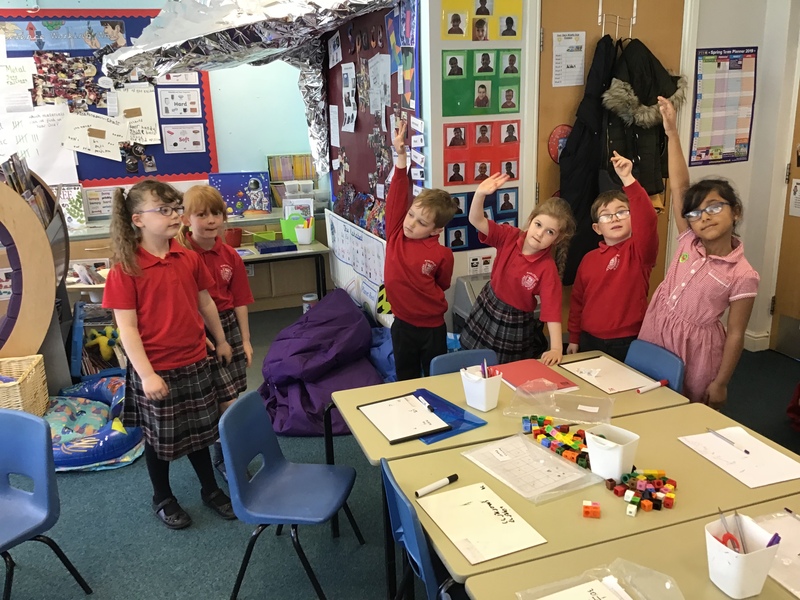 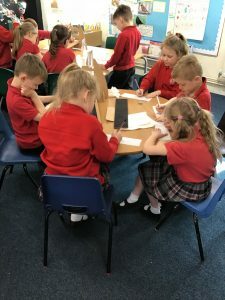 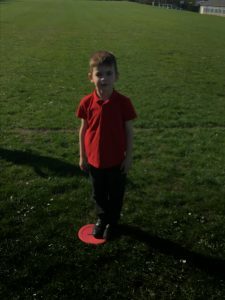 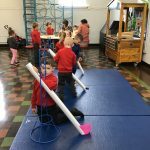 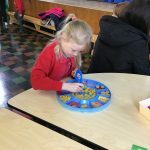 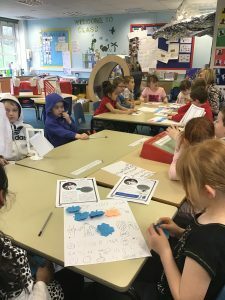 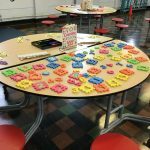 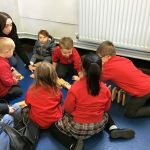 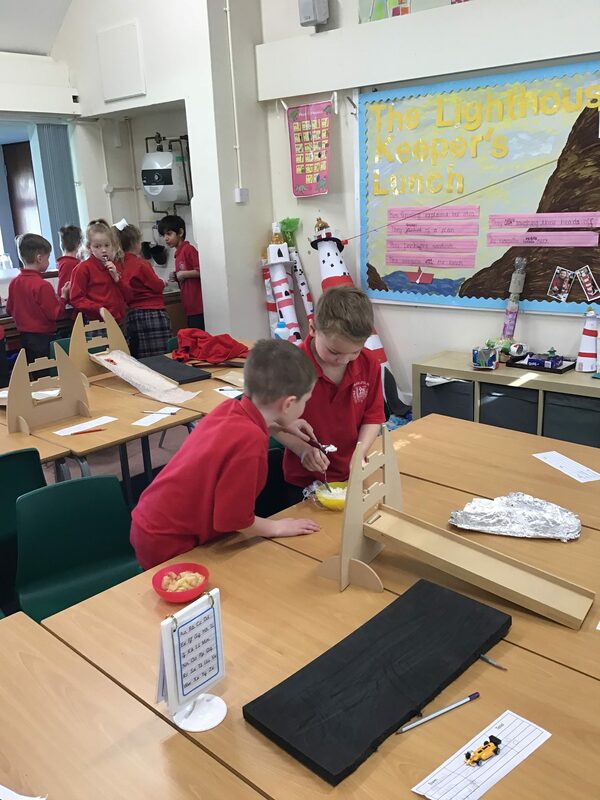 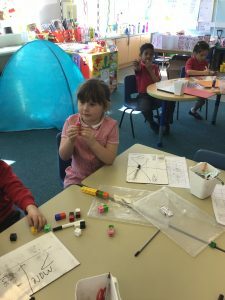 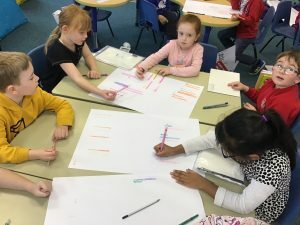 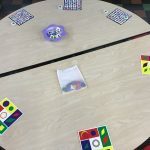 All of the activities at the stay and play session were based around the area of Maths. 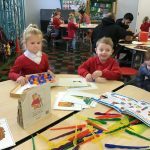 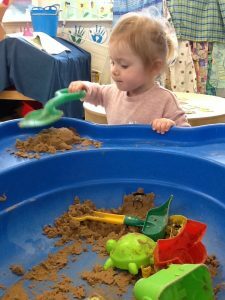 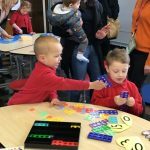 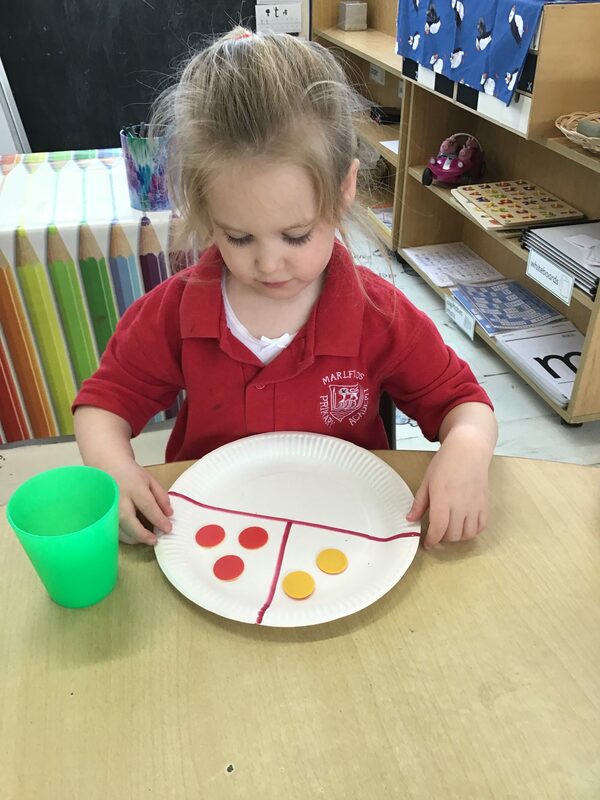 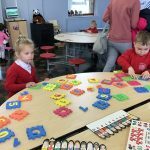 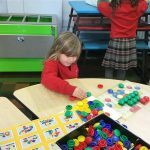 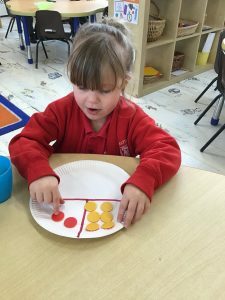 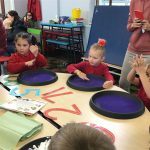 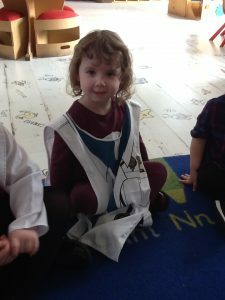 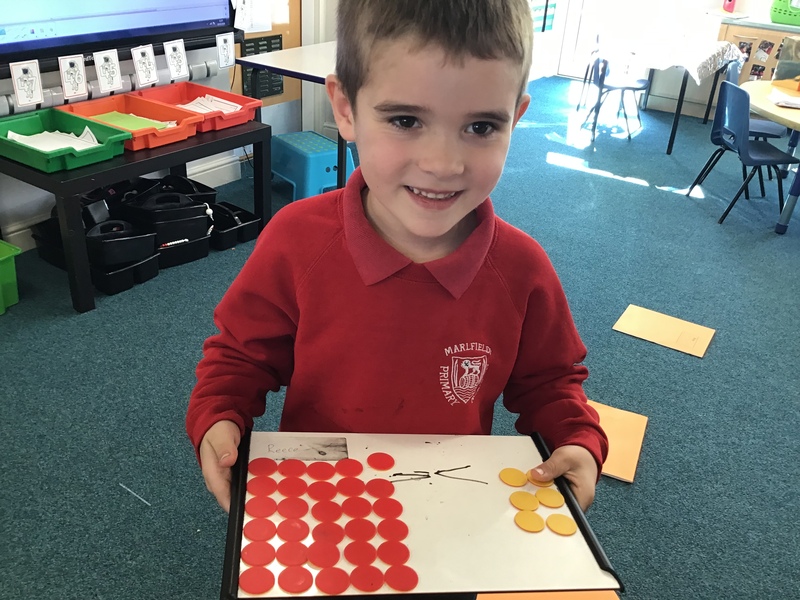 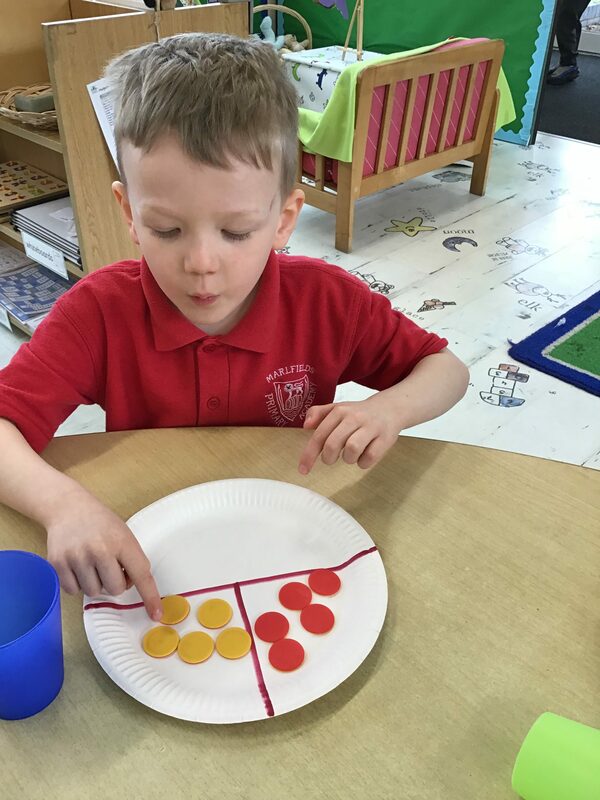 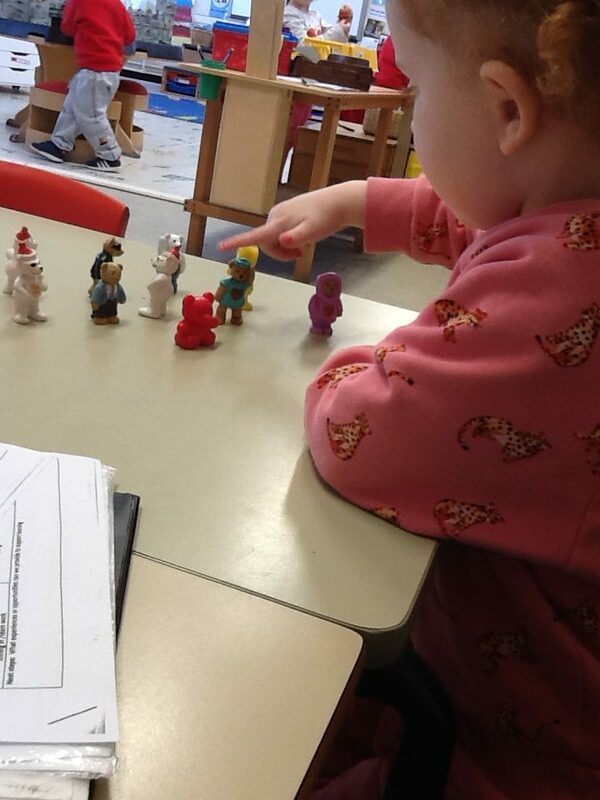 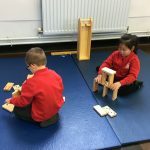 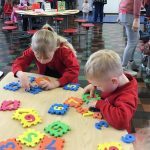 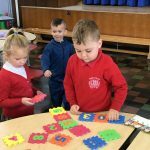 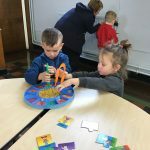 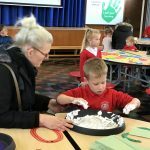 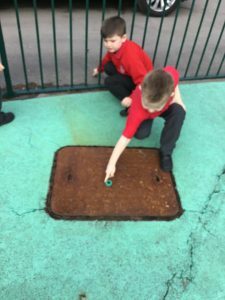 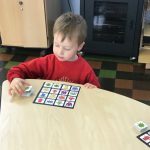 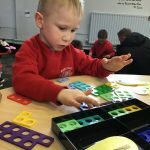 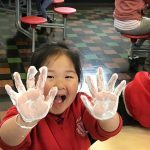 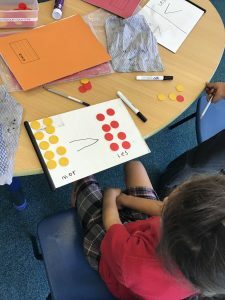 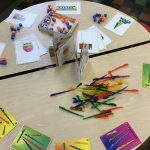 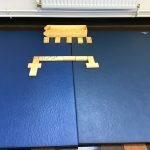 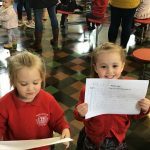 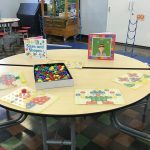 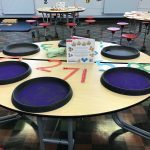 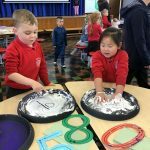 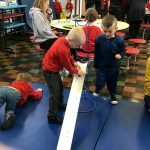 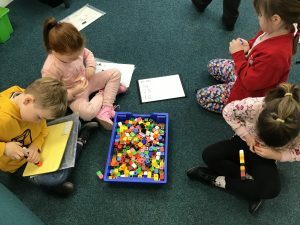 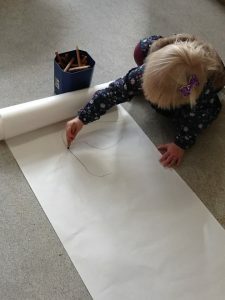 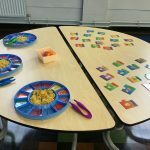 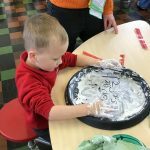 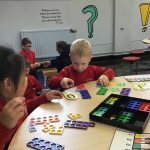 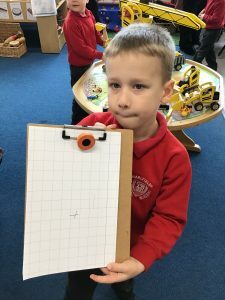 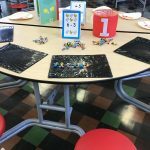 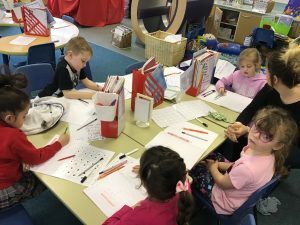 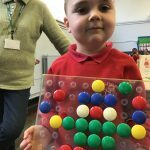 Comment	Early Years Stay & Play Maths Fun! 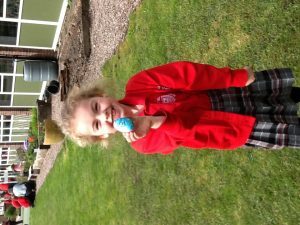 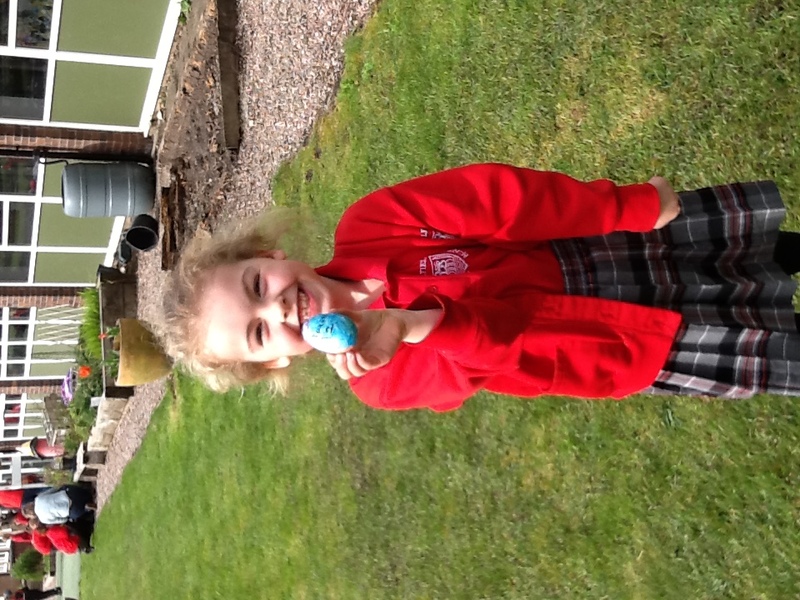 In Nursery we have made lots of lovely Easter treats. 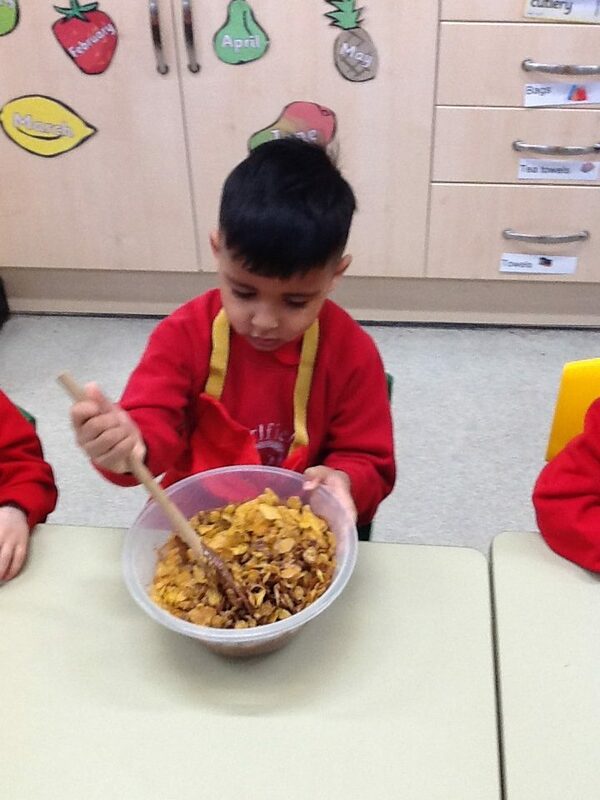 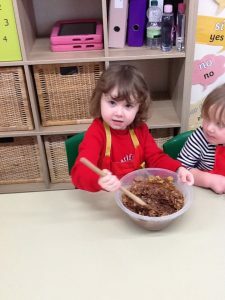 We began by making Easter nests by breaking the chocolate and then mixing in the cornflakes. We then carefully spooned the mixture into the cake cases and sprinkled chocolate over the top. 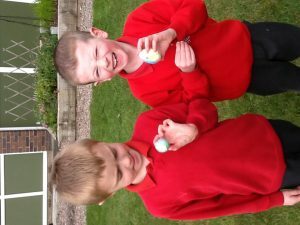 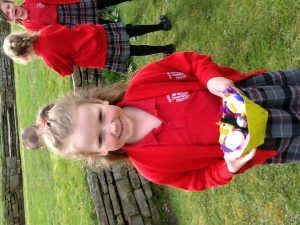 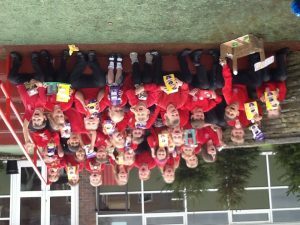 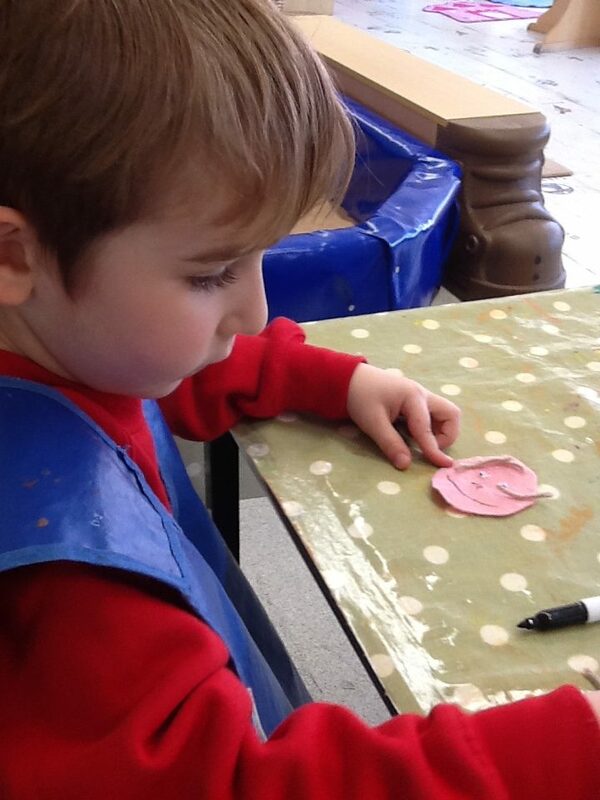 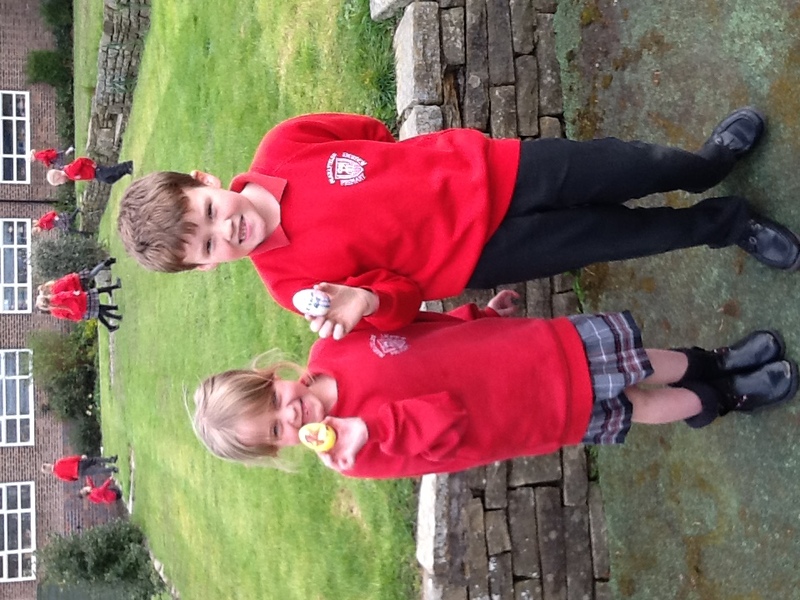 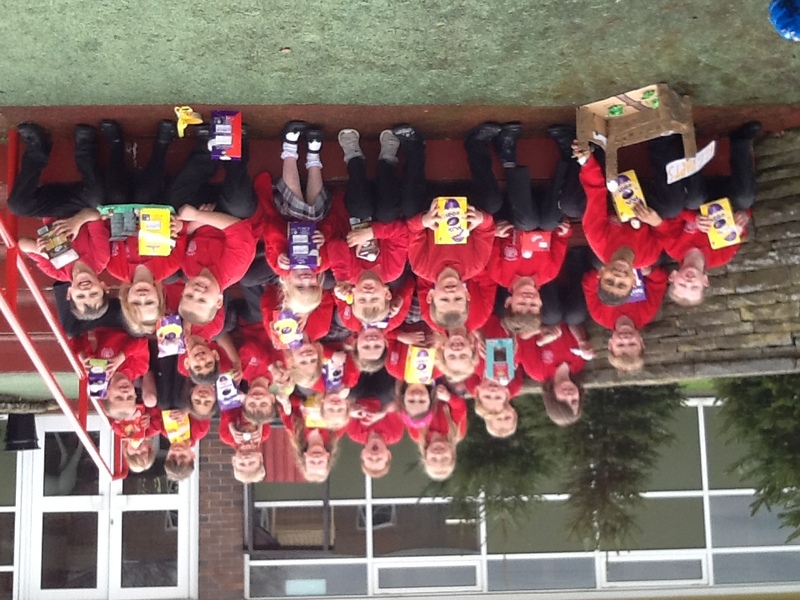 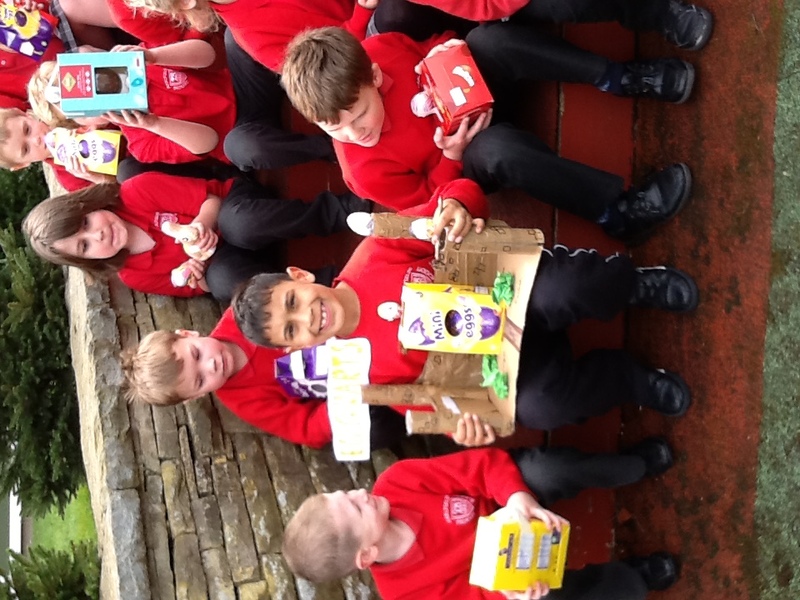 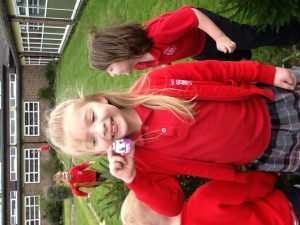 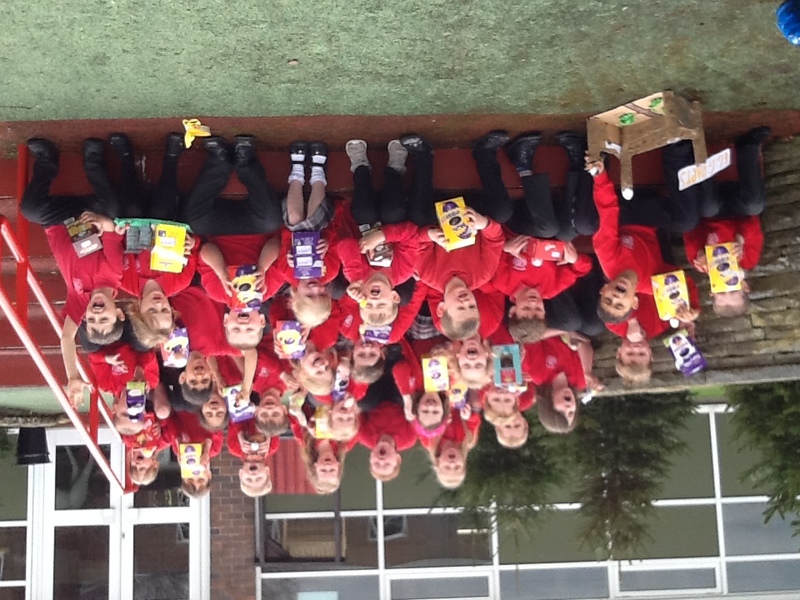 The children then used the left over chocolate to create Easter shaped treats. 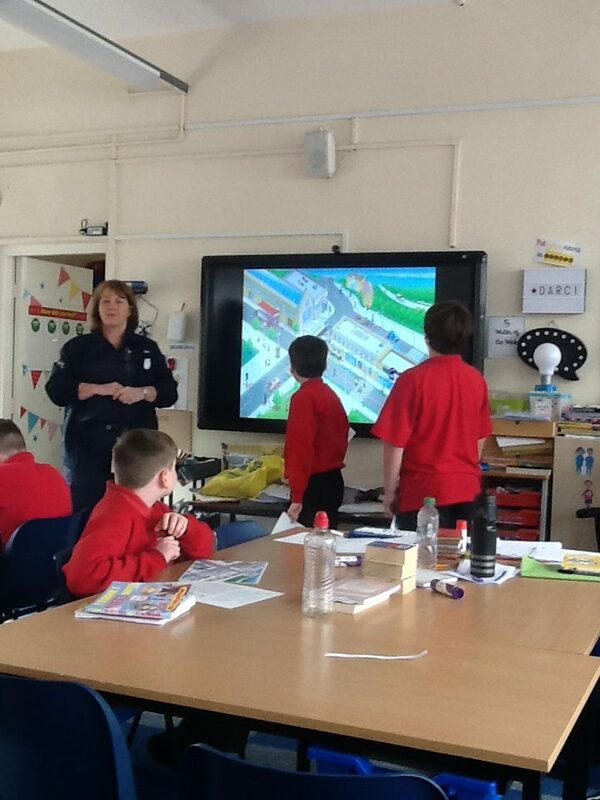 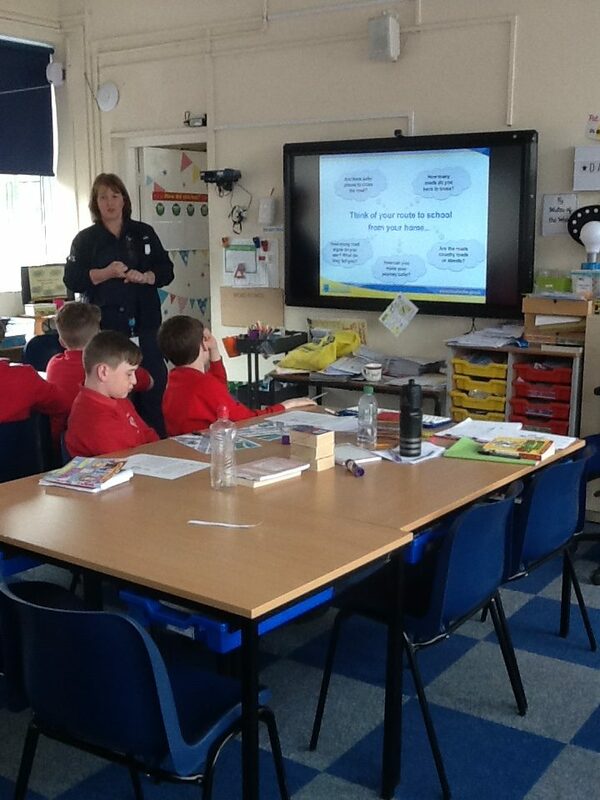 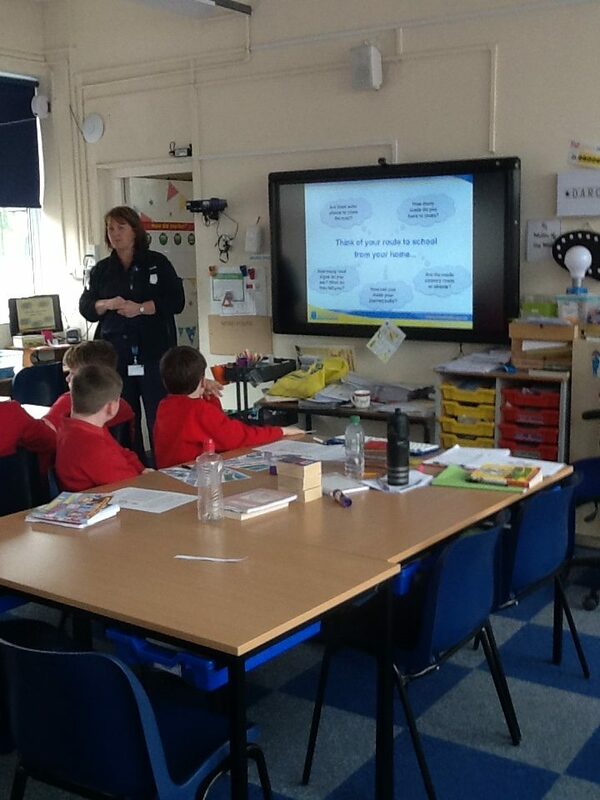 This afternoon Year 6 had a talk by Joanne who was from the fire and rescue service. 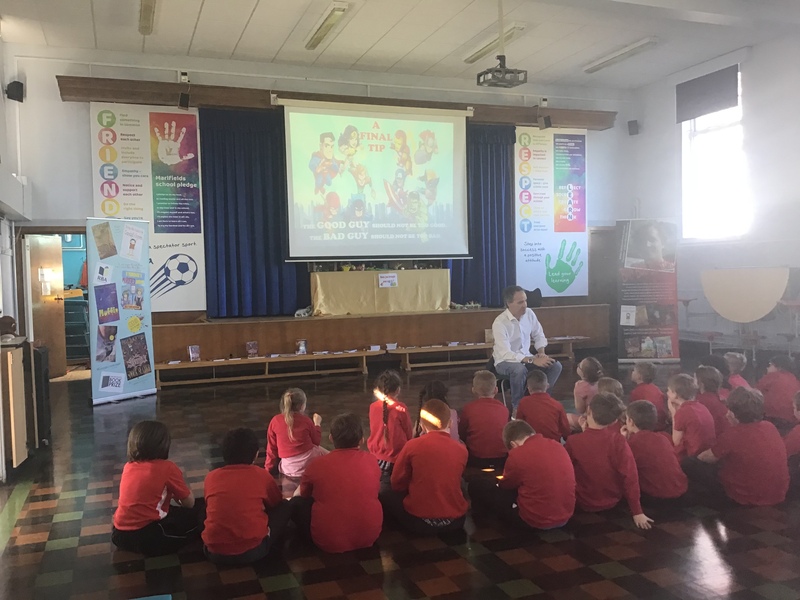 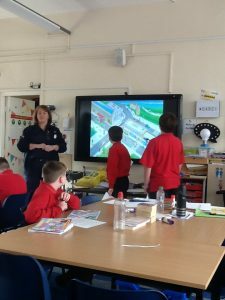 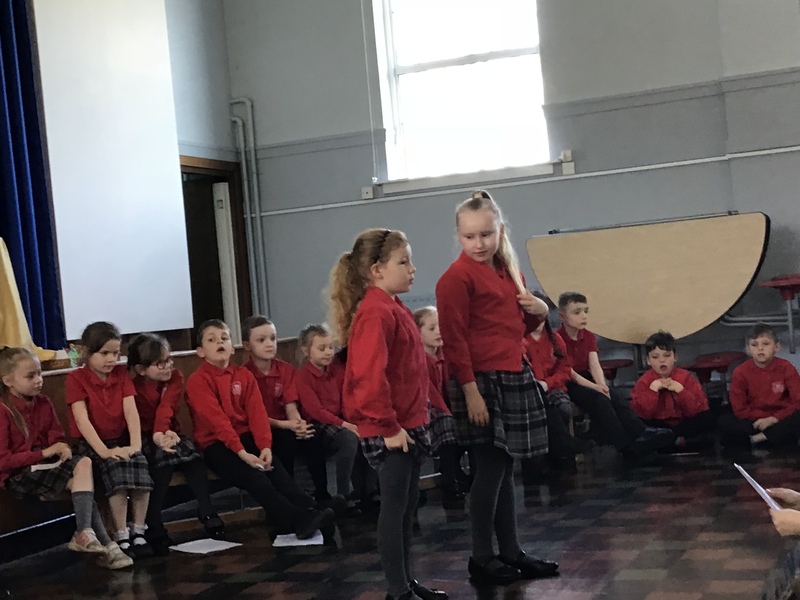 She talked to the children about crossing the road safely, riding a bike safely with the correct equipment on and the importance of wearing a seatbelt. Our current focus in maths is place value to 50. 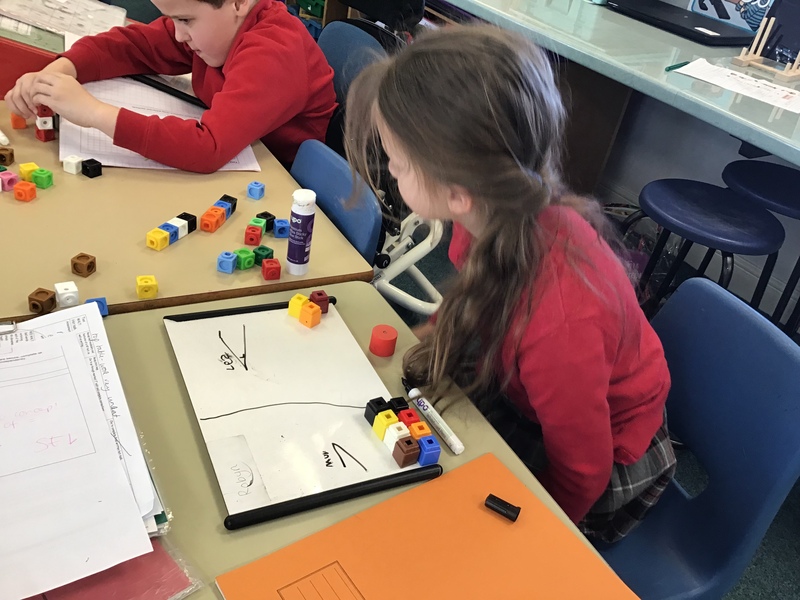 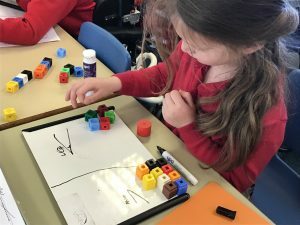 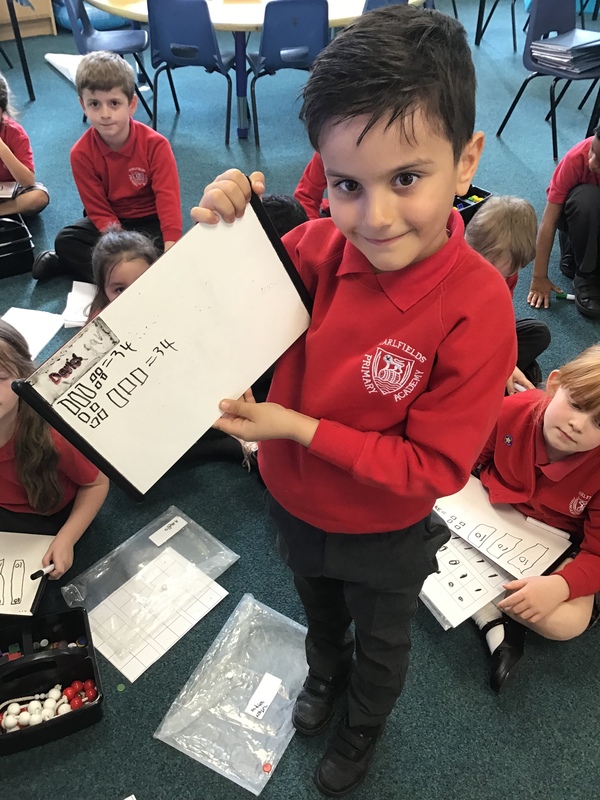 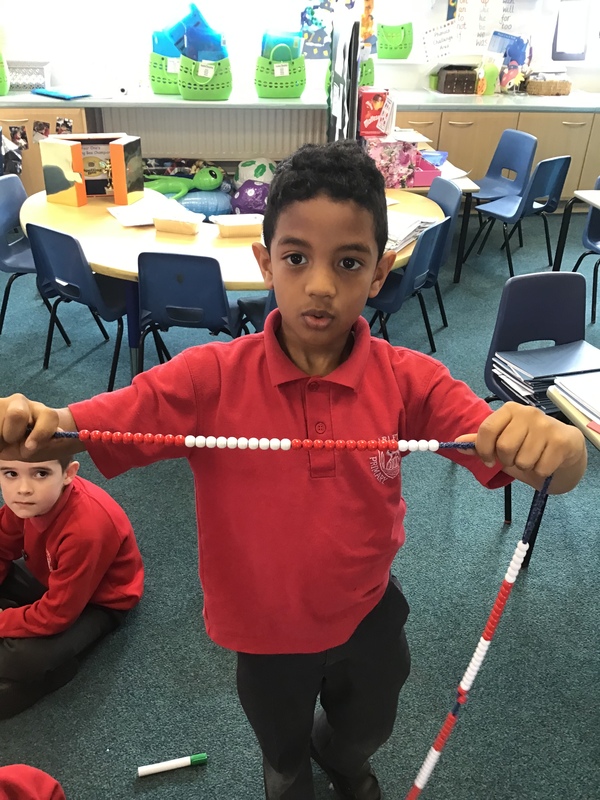 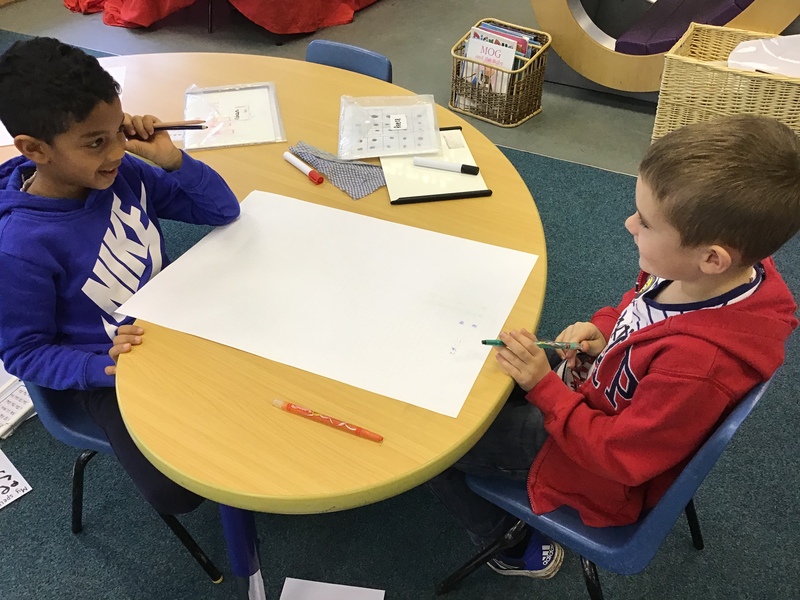 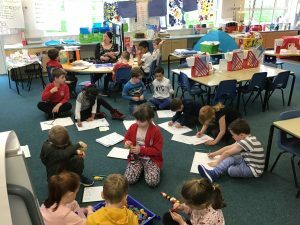 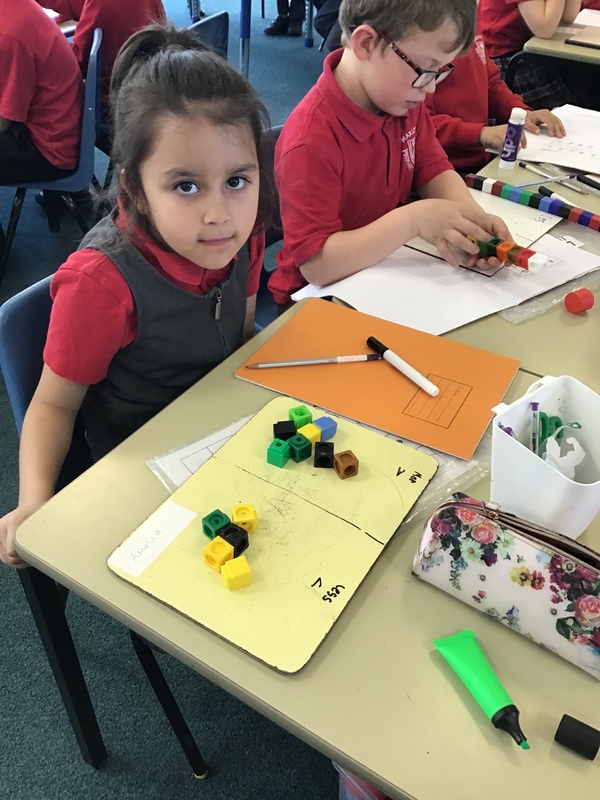 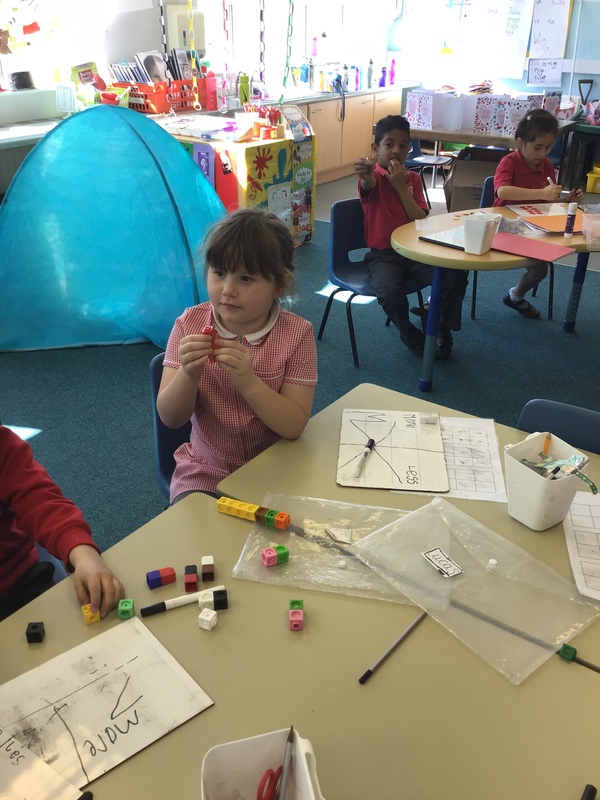 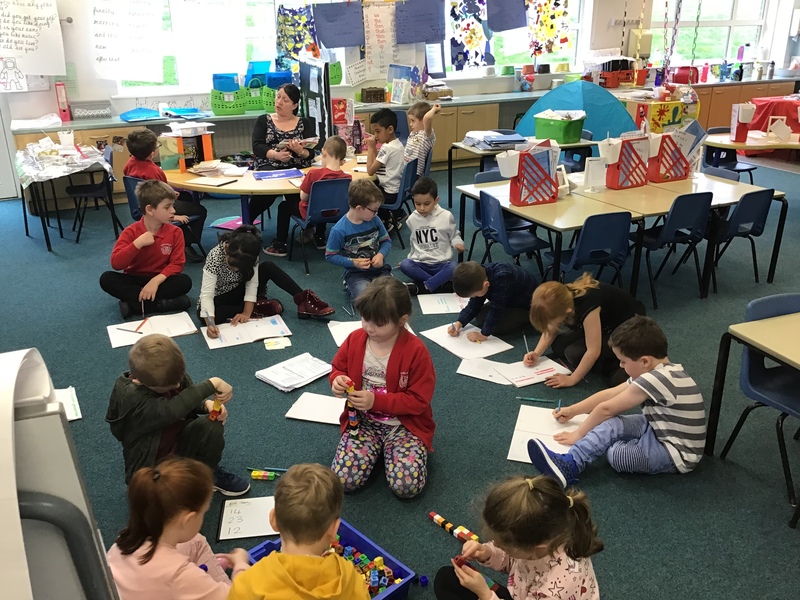 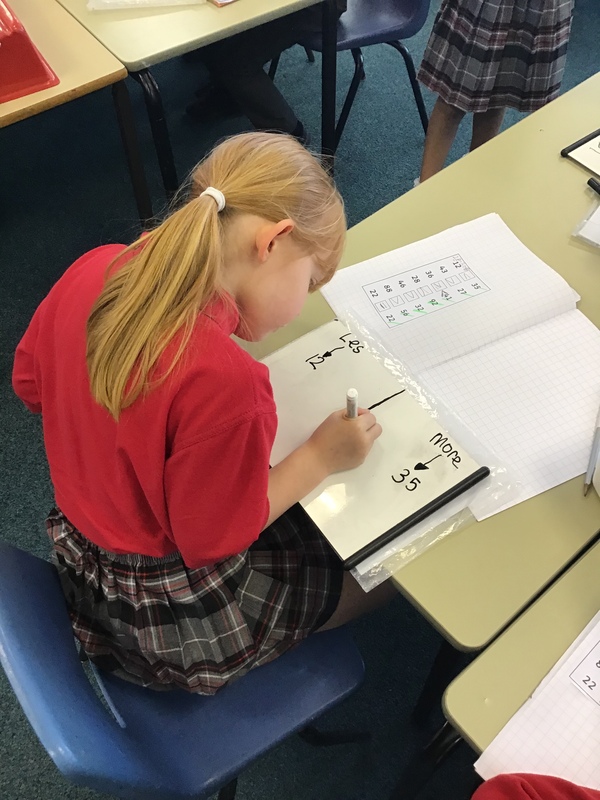 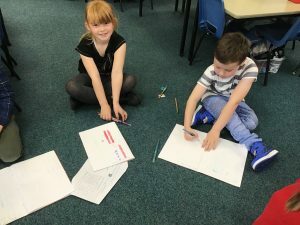 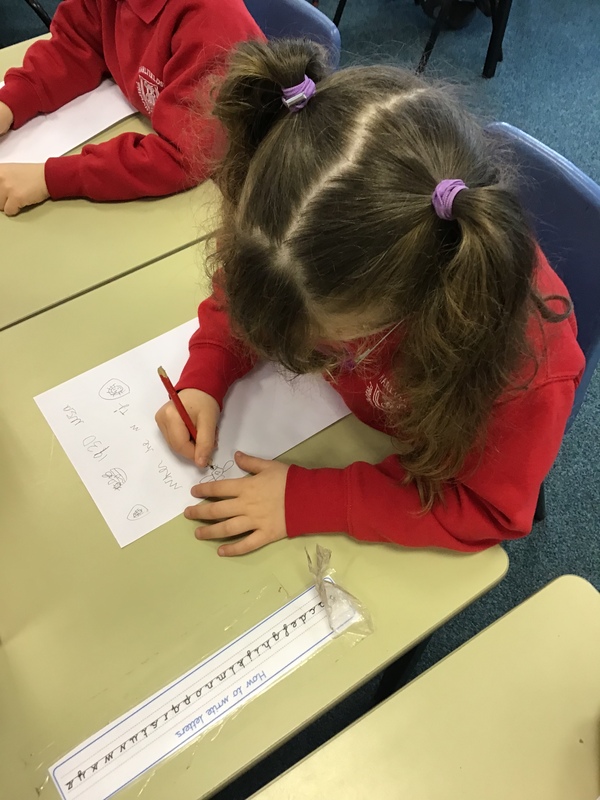 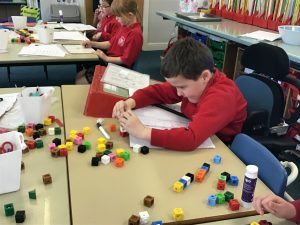 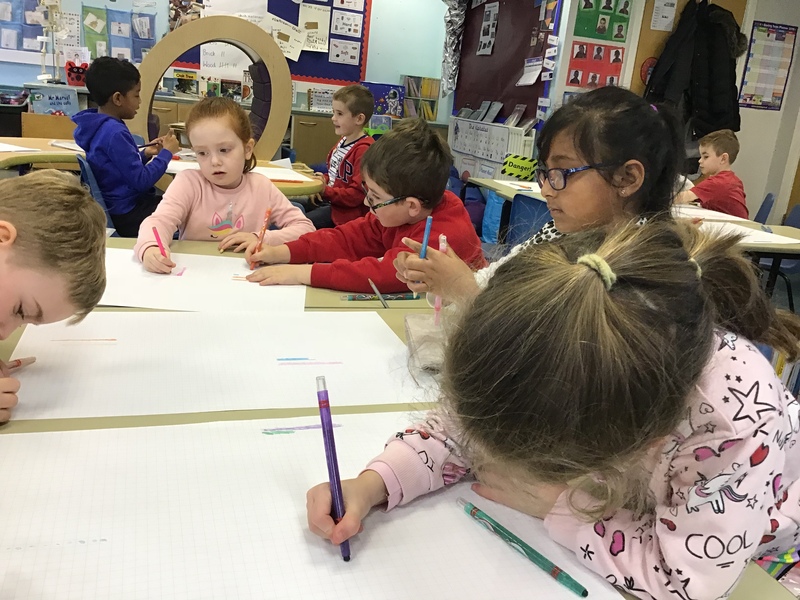 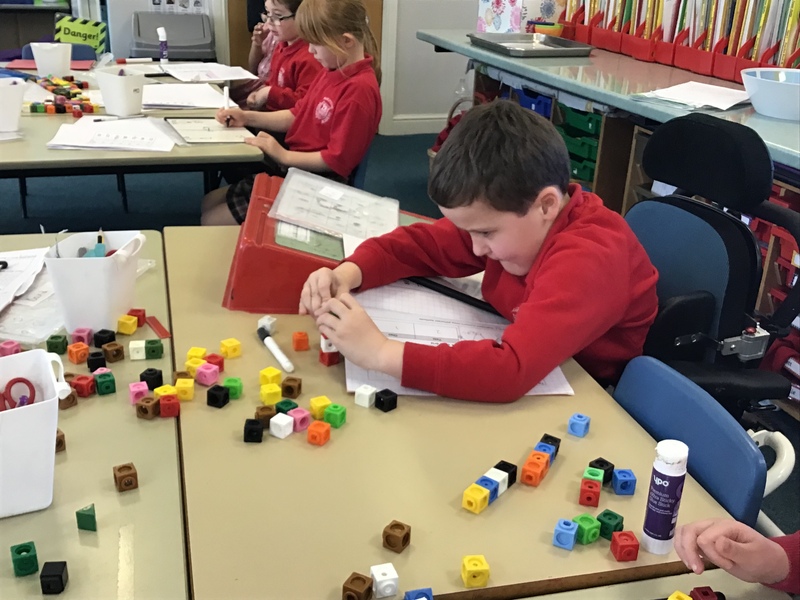 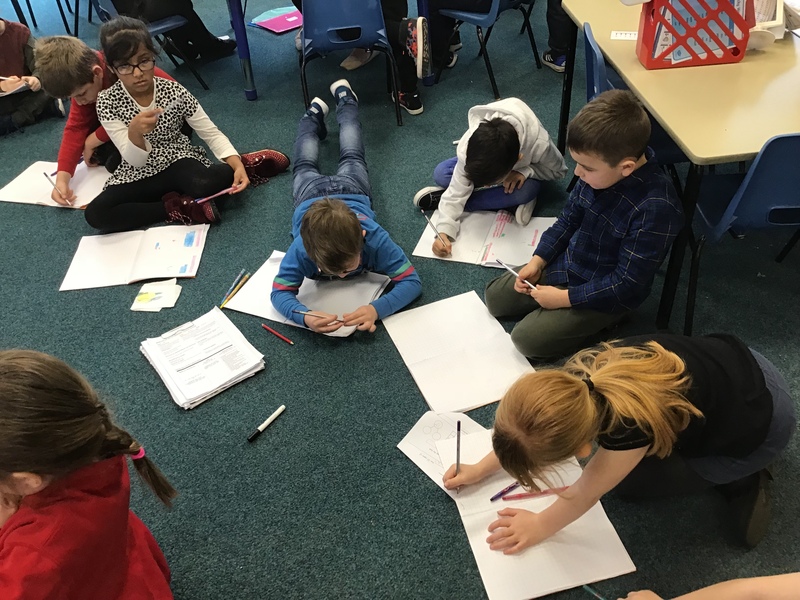 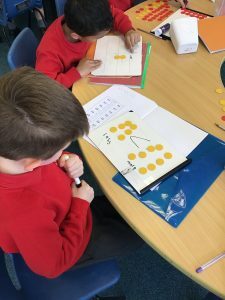 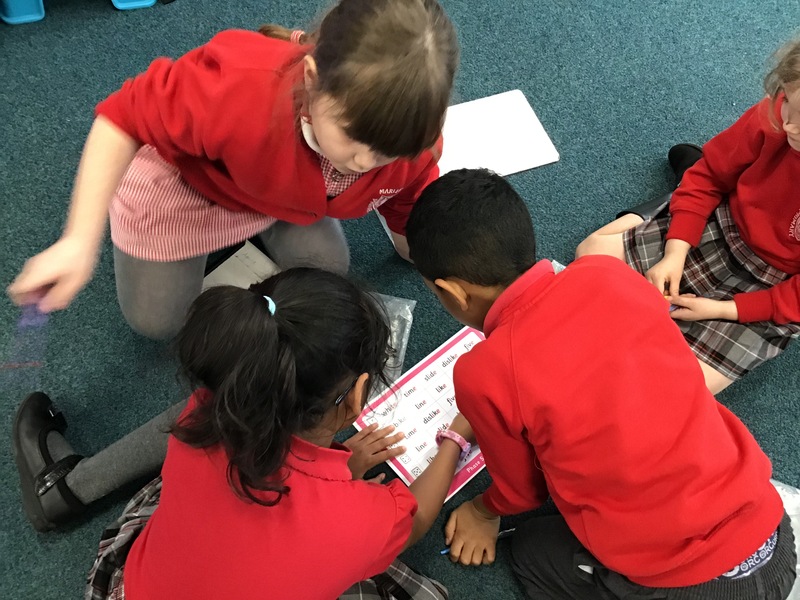 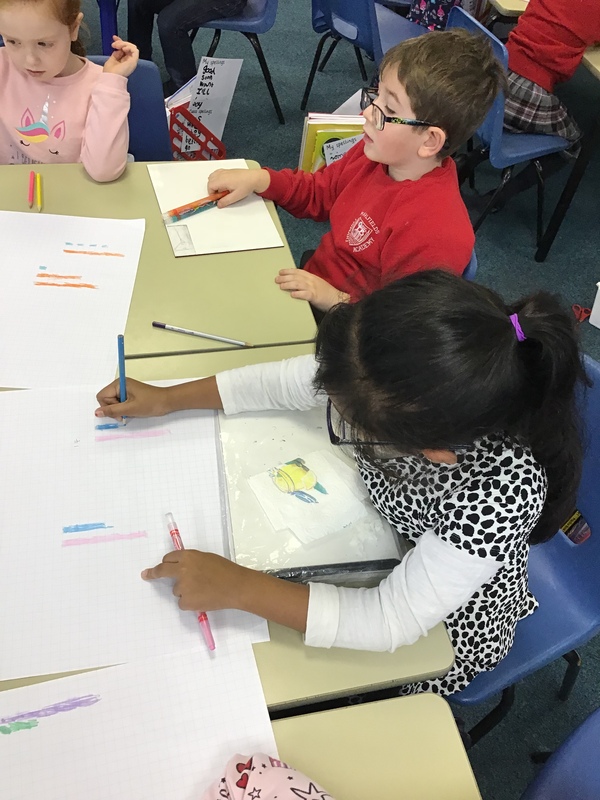 We have been learning how to represent numbers to 50 using a variety of different representations, including concrete, pictorial and written methods. 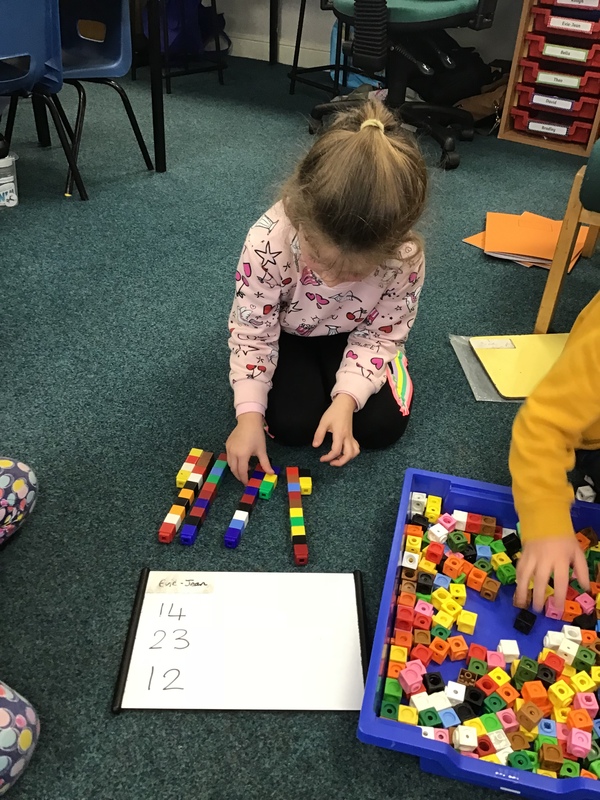 We have been comparing numbers and objects and developing our reasoning and problem solving skills to explain our ideas and answers. 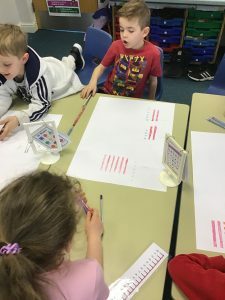 Despite a few technical difficulties, we managed to complete our algorithms lesson… by programming our maths buddies! 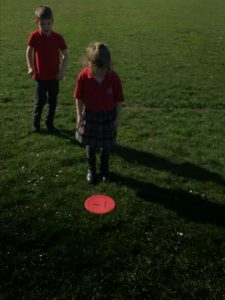 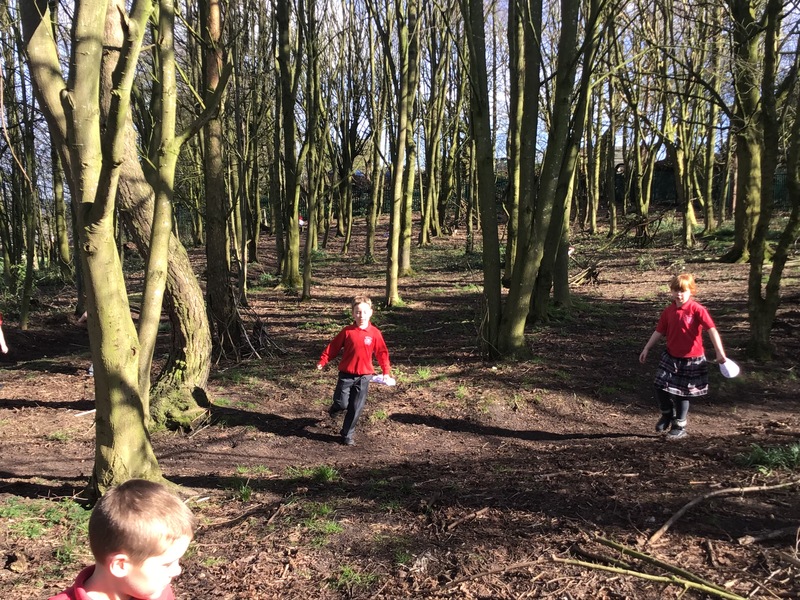 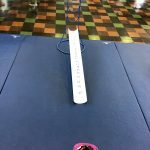 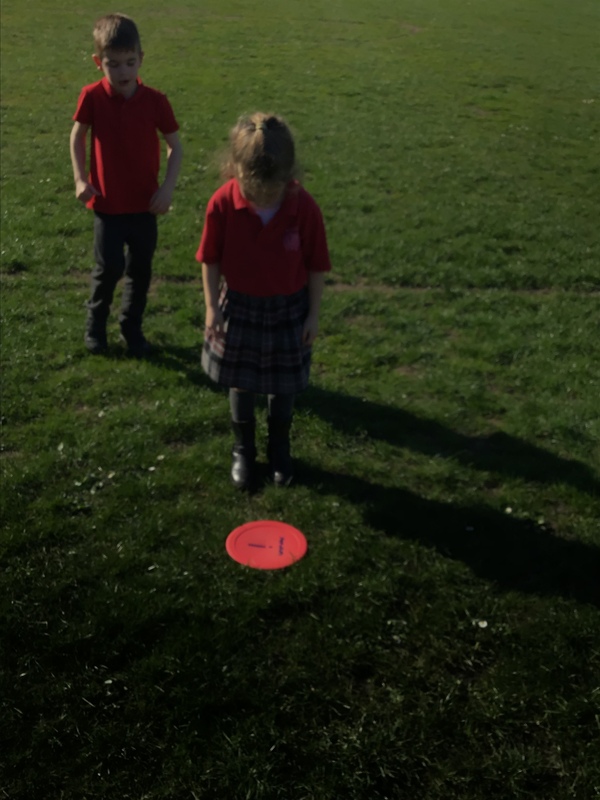 We took it in turns to guide our partners to a given spot on the ground, proving them with step by step instructions, including how many steps and which direction. 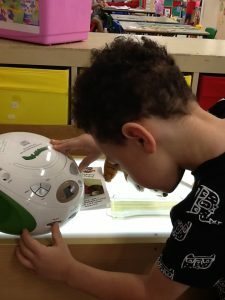 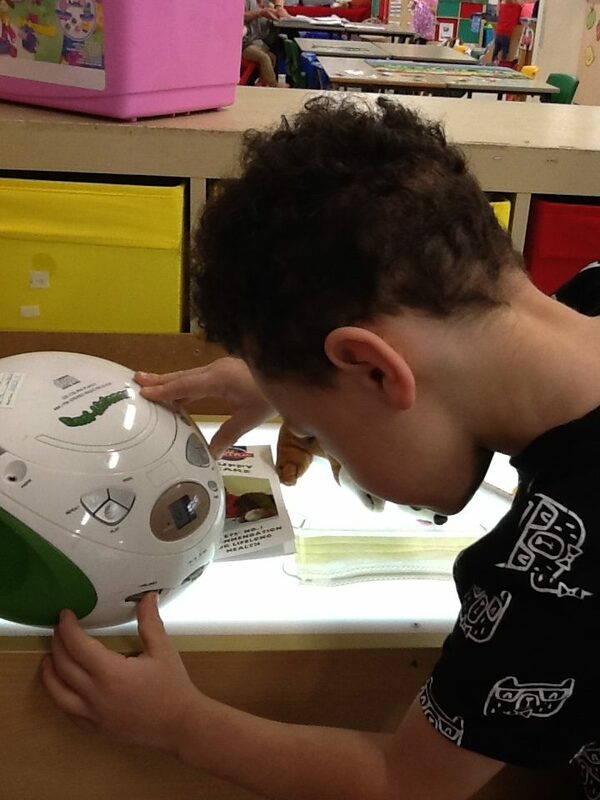 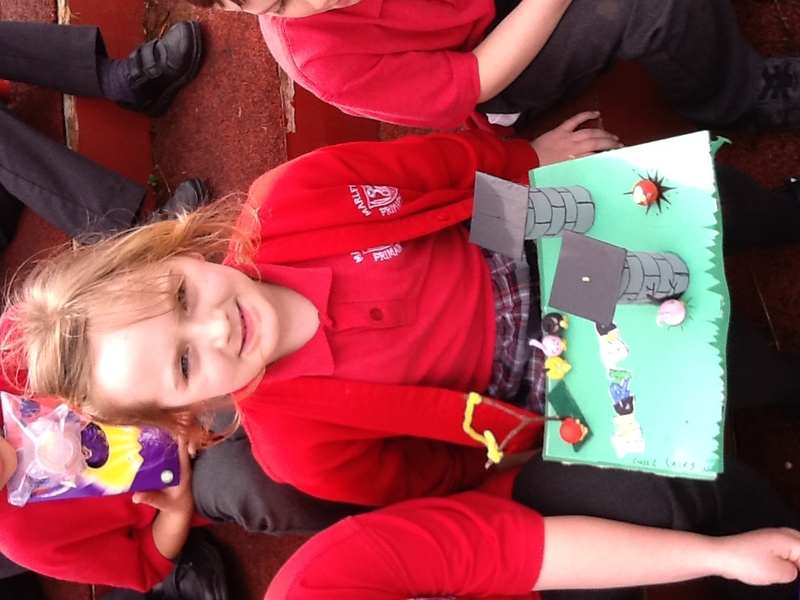 We even had to debug them if they went wrong! 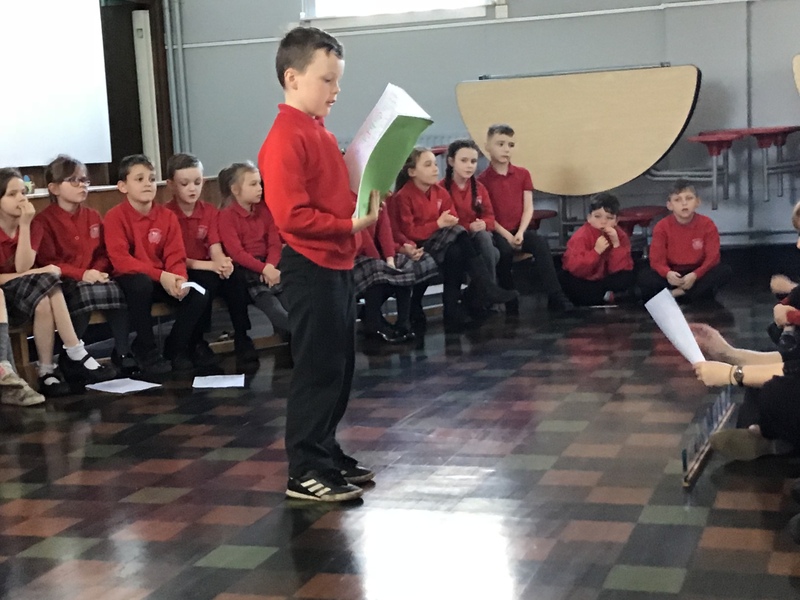 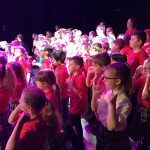 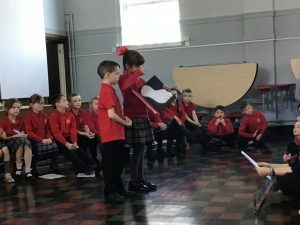 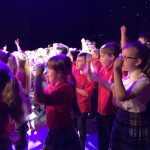 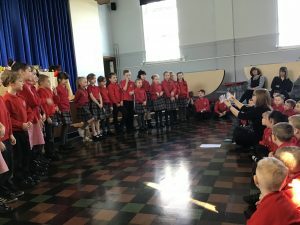 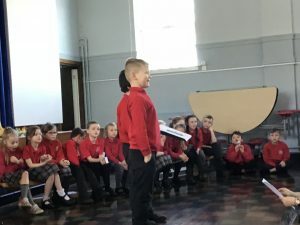 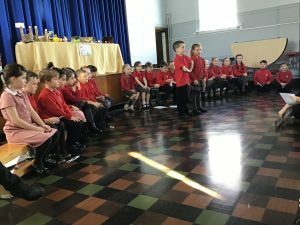 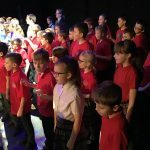 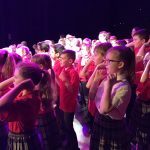 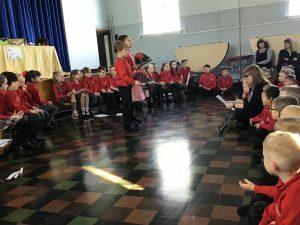 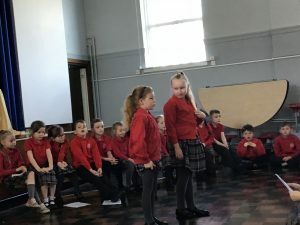 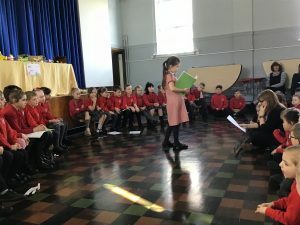 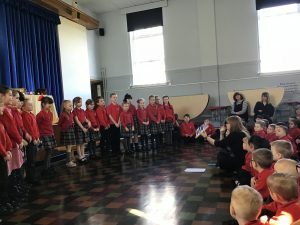 Year 4 and 5 went to Crewe Lyceum to perform as part of Singfest. 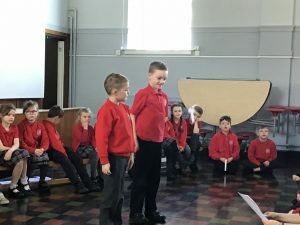 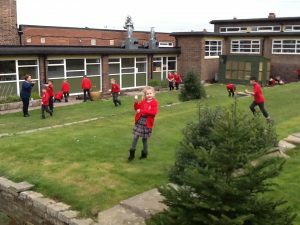 Marlfields were even lucky enough to be invited to stay in the afternoon to play with Congleton Orchestra in which we had such a brilliant time. 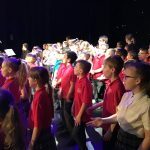 Thank you to Love Music Trust for inviting us. More pictures to follow. We have been learning about many of the spices Marco Polo would have discovered on his travels. 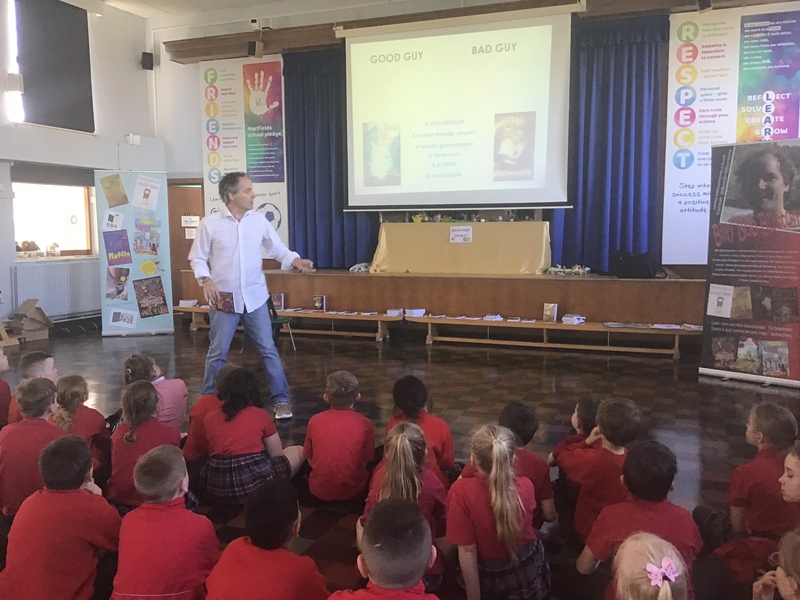 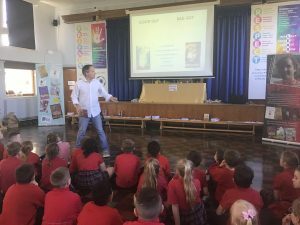 Today we’ve been really lucky to have a visit from an author. Billy Bob Buttons has written lots of books and taught us about characterisation. 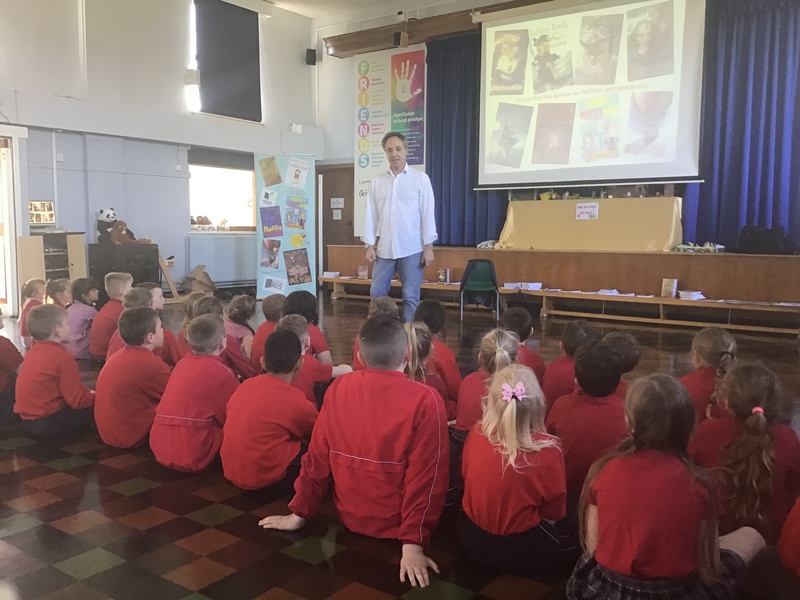 He helped us use similes and metaphors to tell our readers about characters. We also used our senses to describe them. 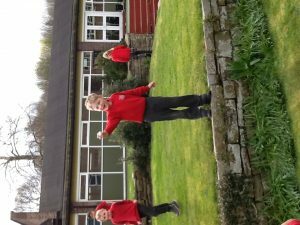 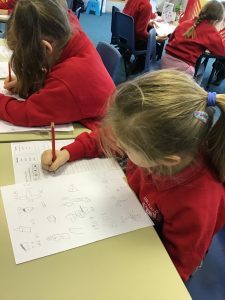 We learnt that it is important to make our characters seem real. 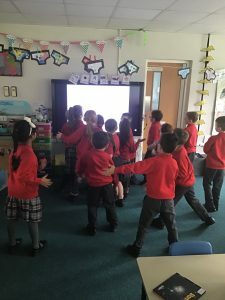 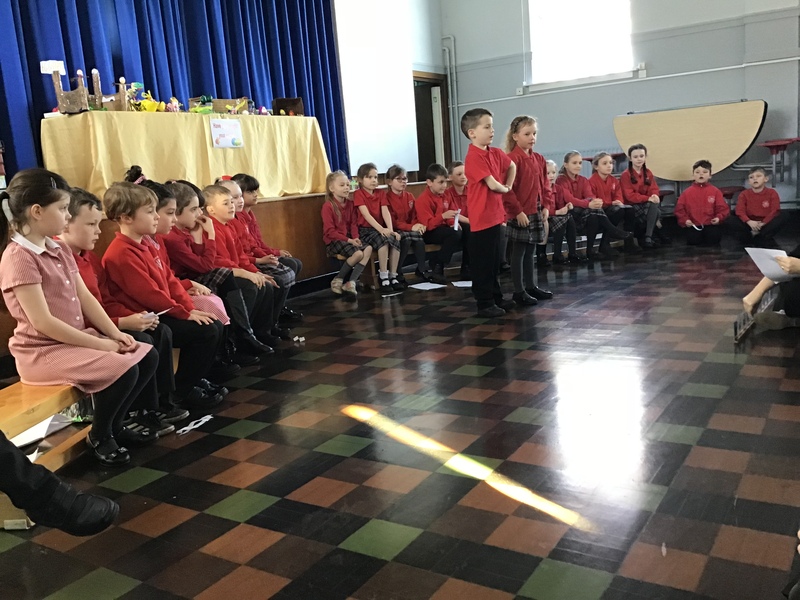 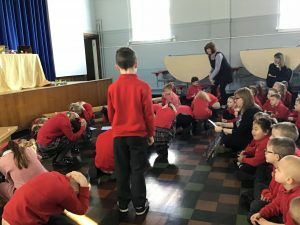 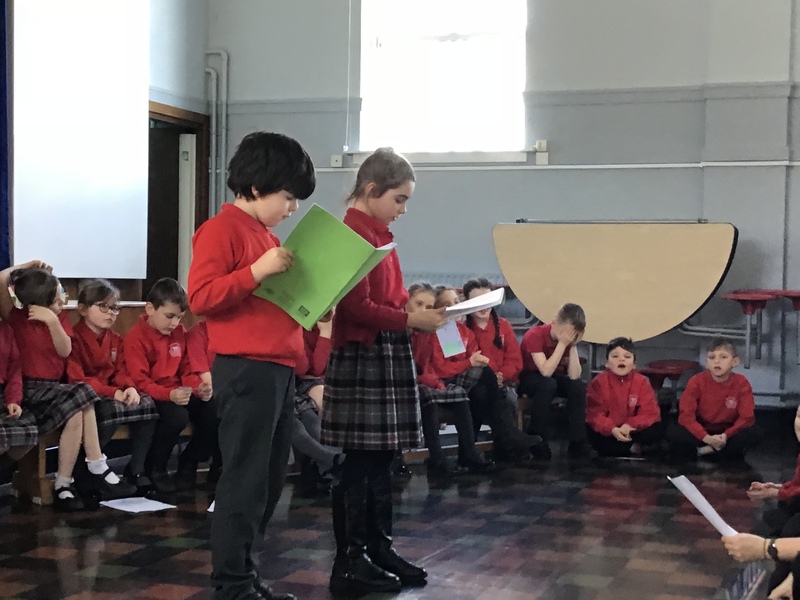 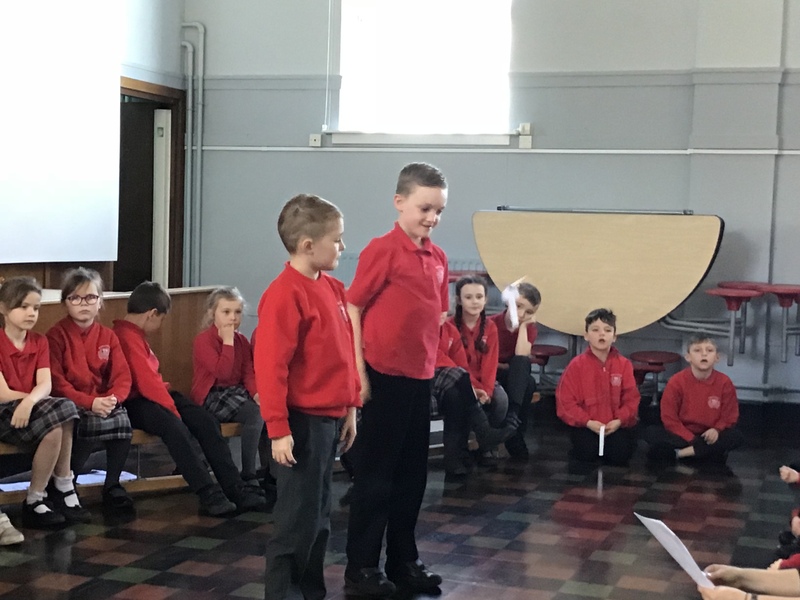 During our assembly we shared everything we have been learning this term. 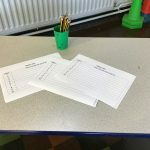 We’ve written stories and letters, had our residential trip to Tattenhall and are experts as at the 4 times tables. 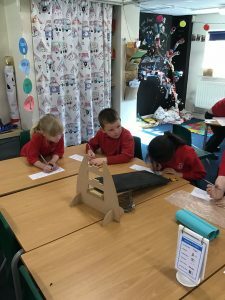 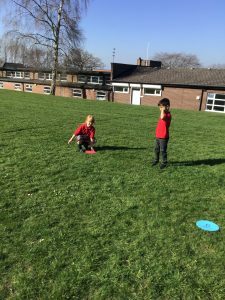 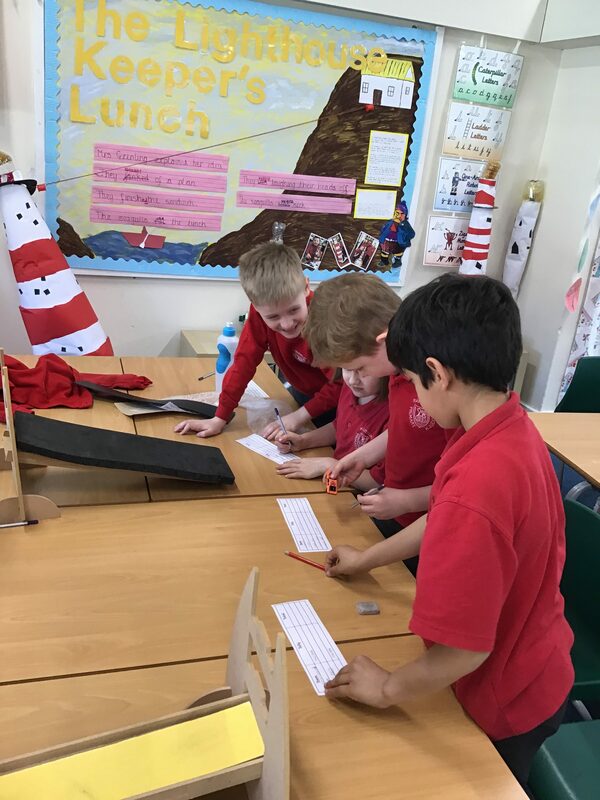 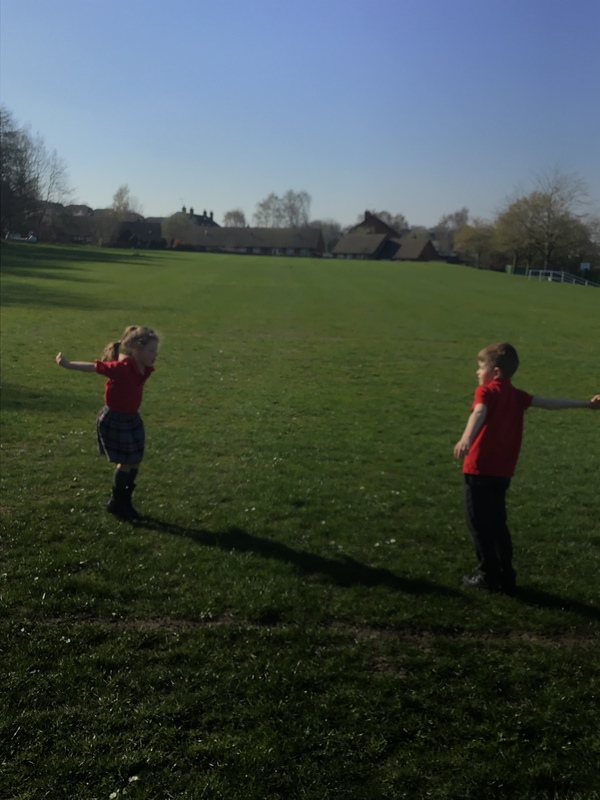 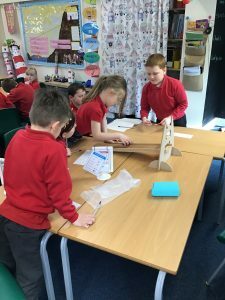 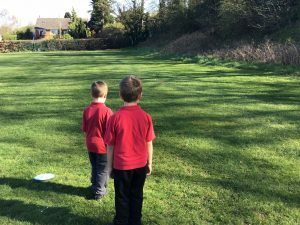 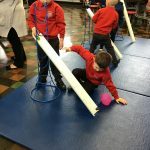 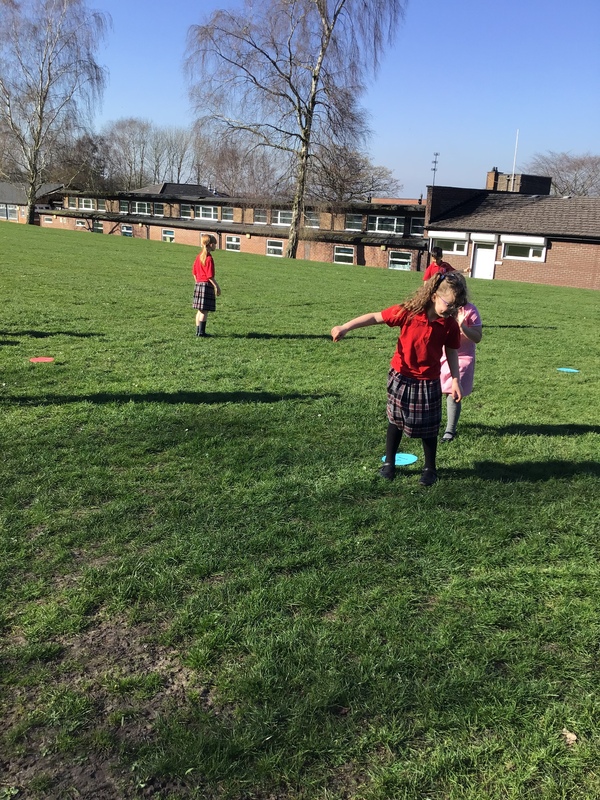 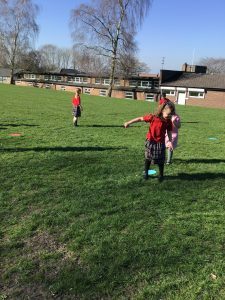 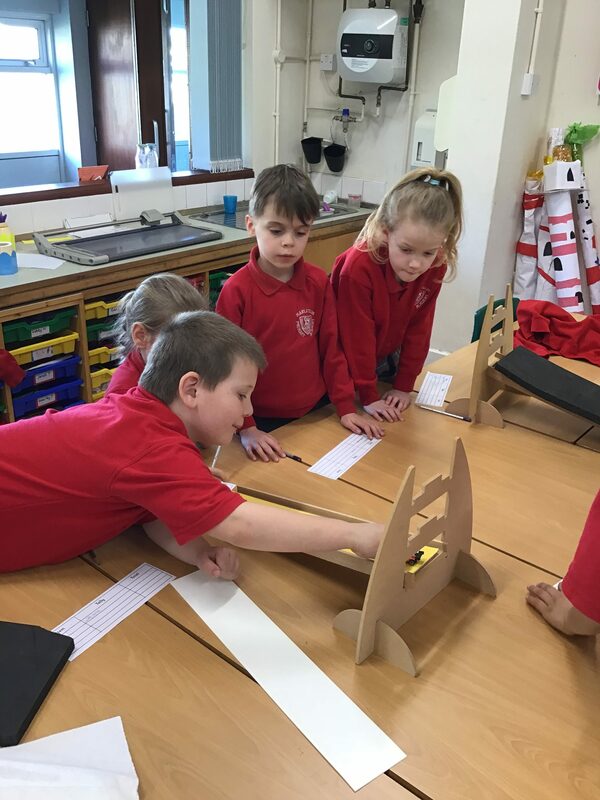 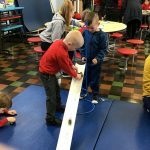 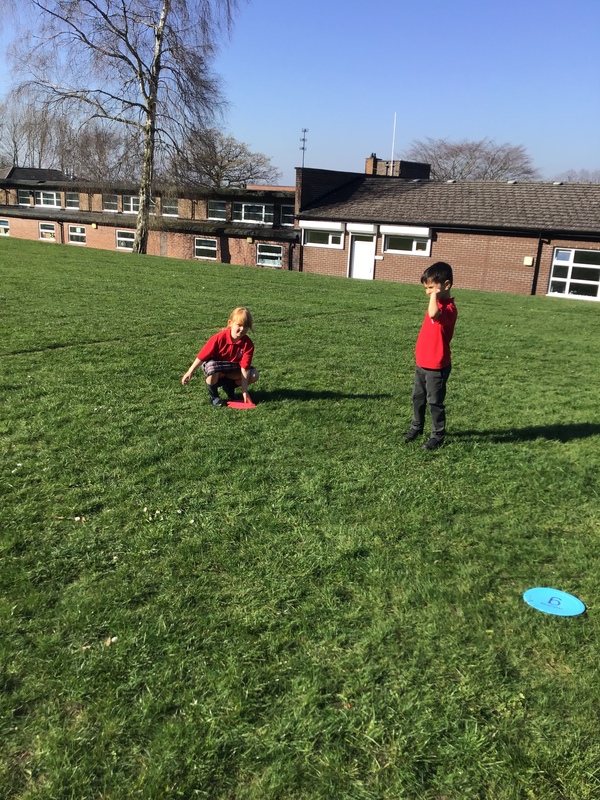 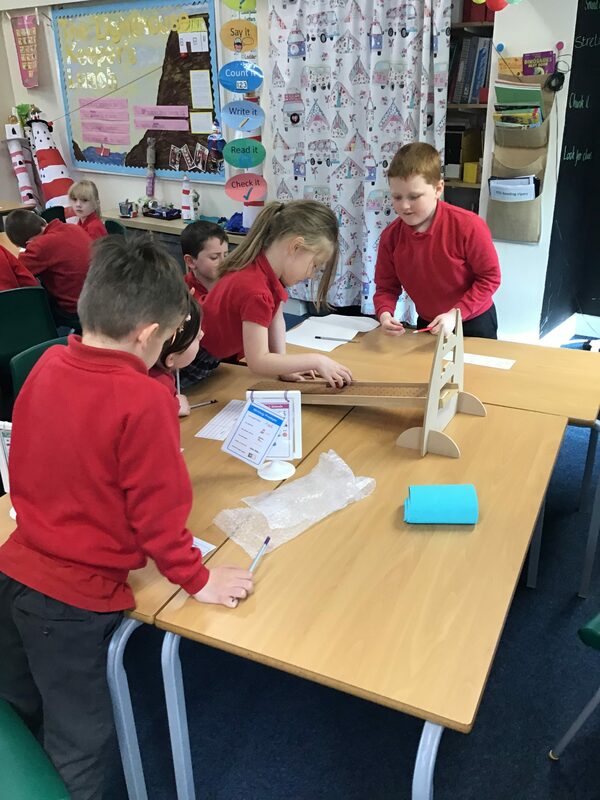 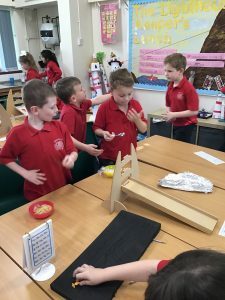 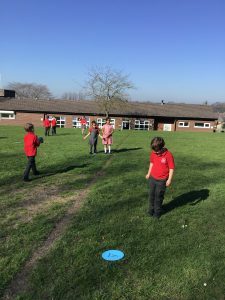 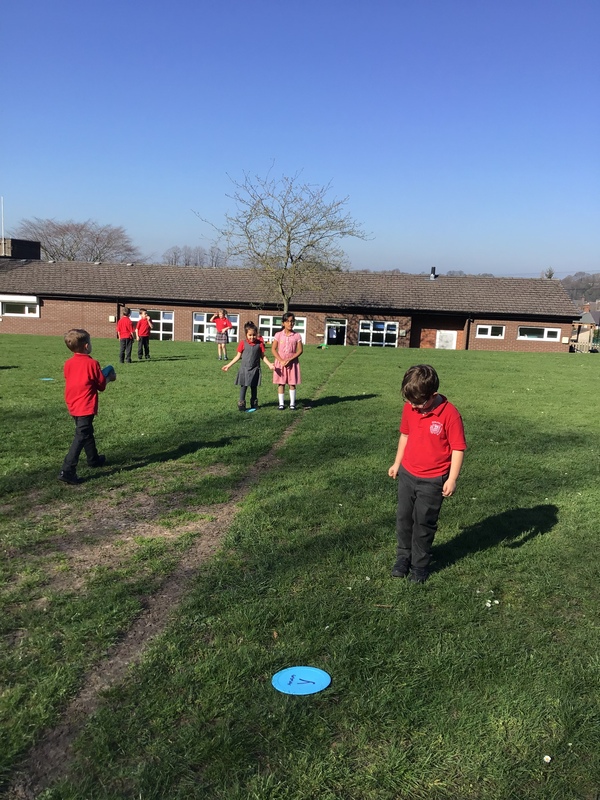 This afternoon in year 2 we got out the ramps, cars and a range of materials to test which material would encourage the car to go the furthest. 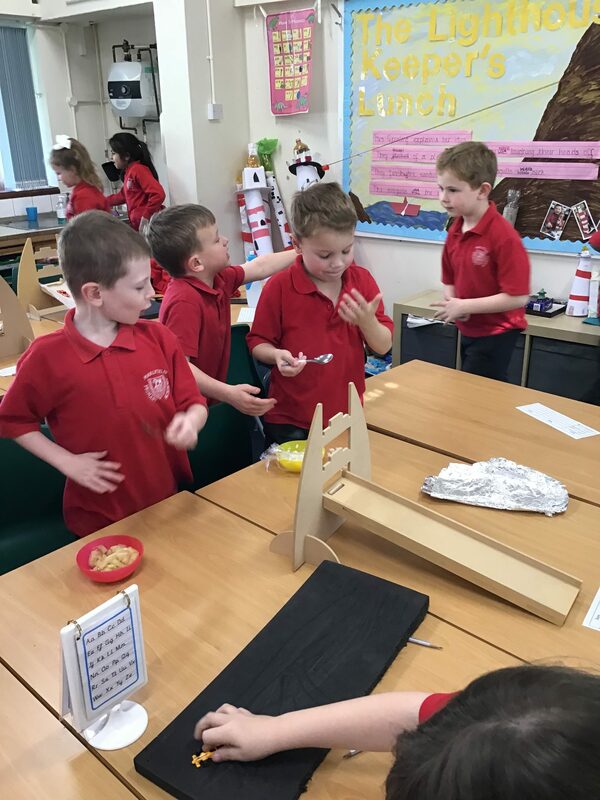 We made sure it was a fair test by keeping the car, the height of the ramp and person the same. 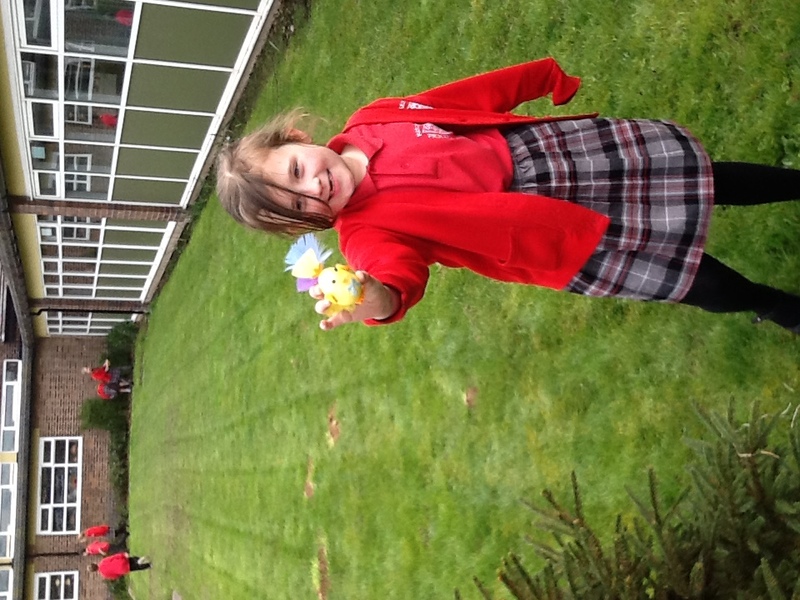 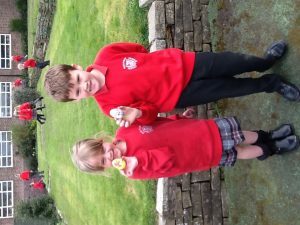 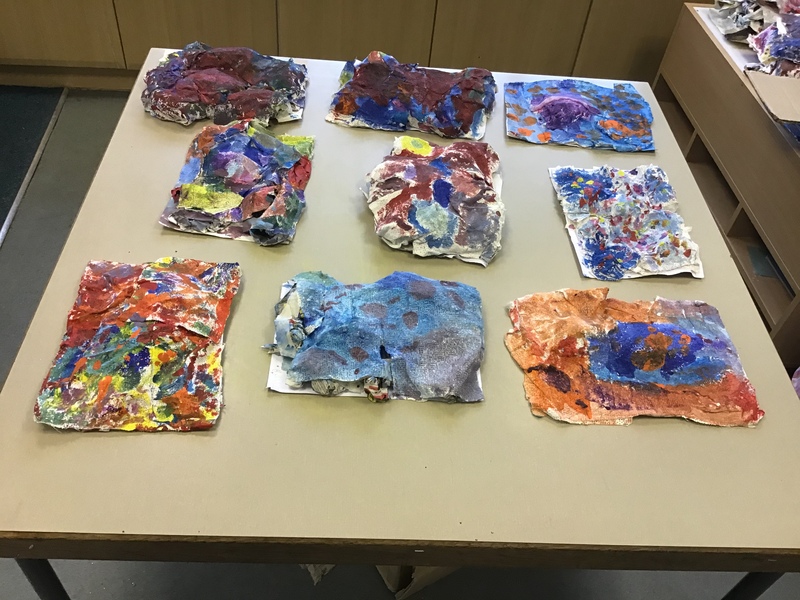 We found that the best materials were plastic and foam as the car travelled the furthest. 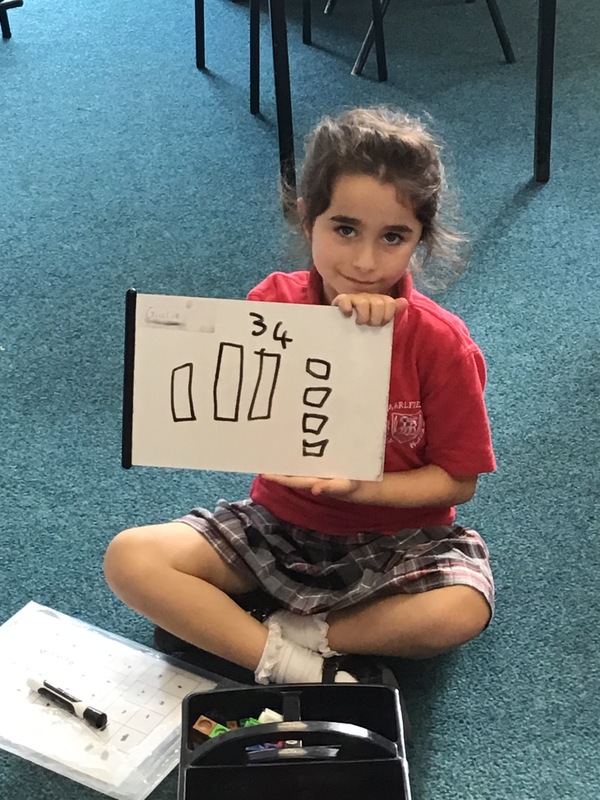 We recorded our attempts out of 10 into a tally chart and wrote a conclusion to summarise our learning. 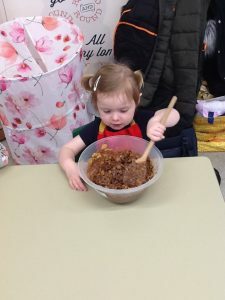 As well as this Mrs Barnes went baking with 5 children, they made rice infused with cardamom pods and poached pear with cinnamon sticks and saffron. 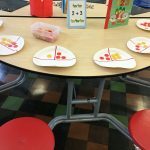 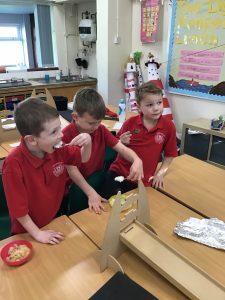 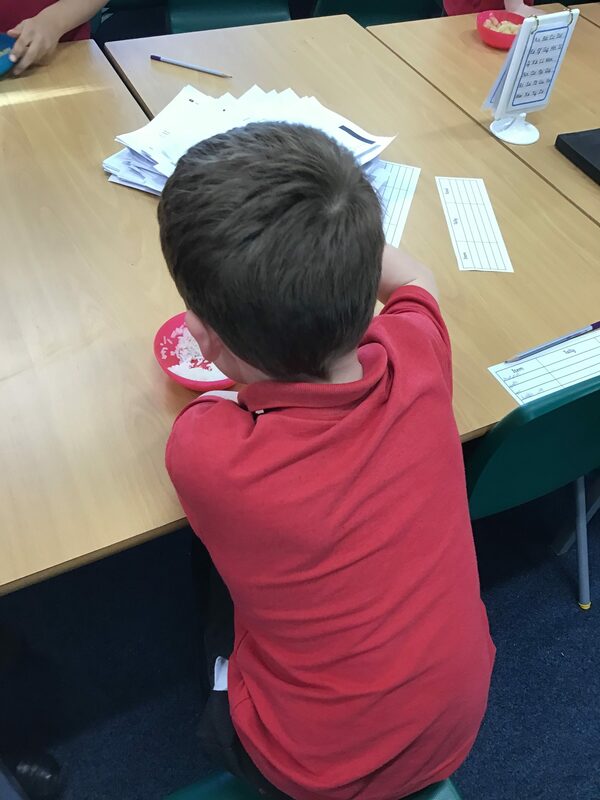 The class were able to have a try and thought it was deliciouS. 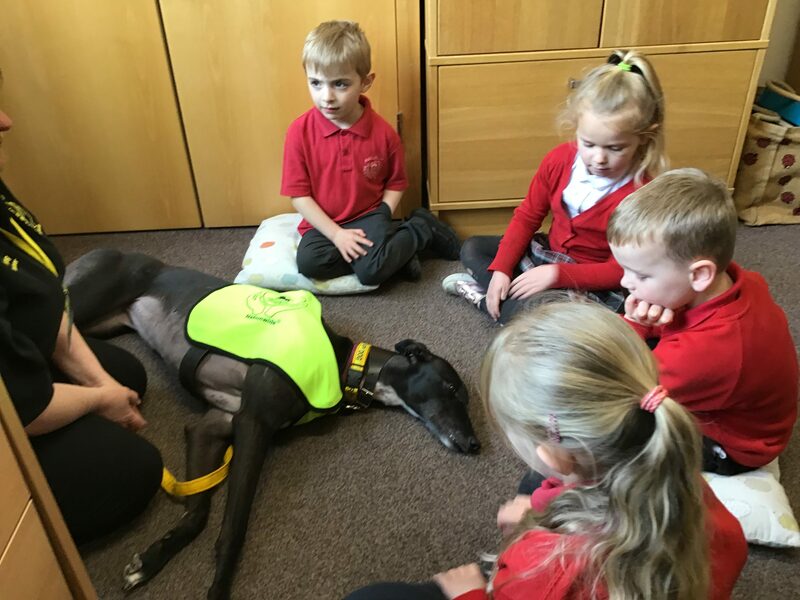 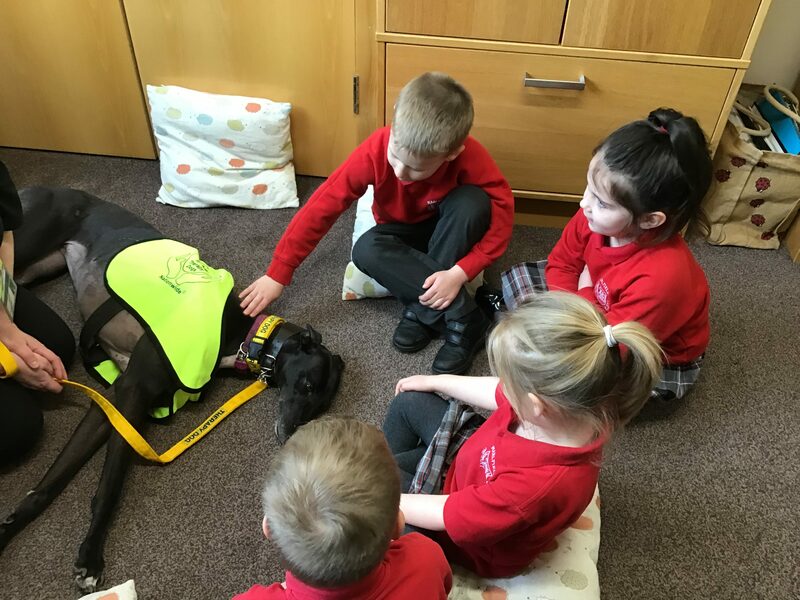 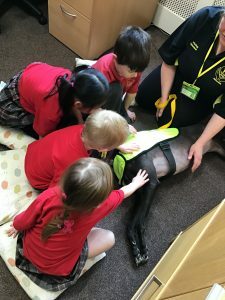 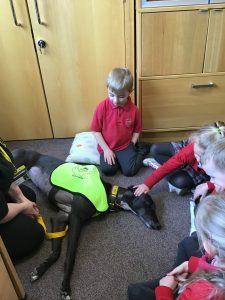 Some of the children have had the opportunity to work with our school therapy dog – Coco. 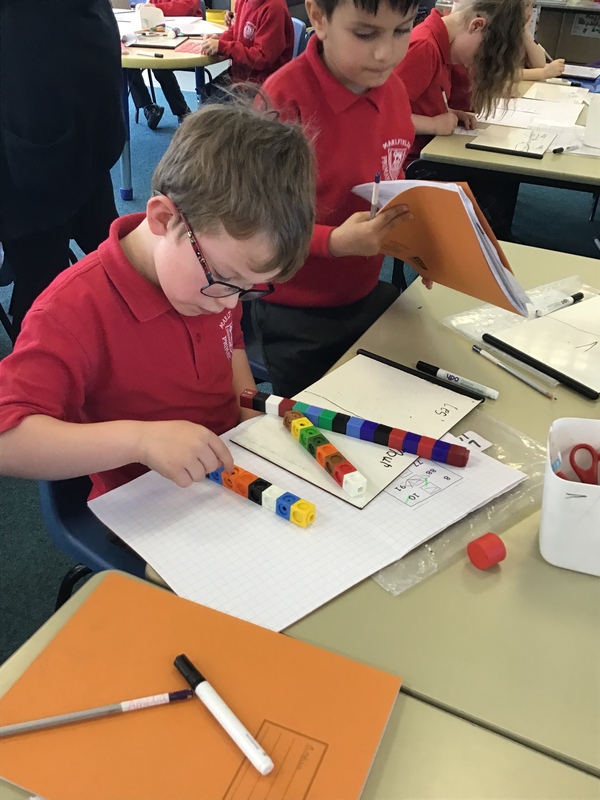 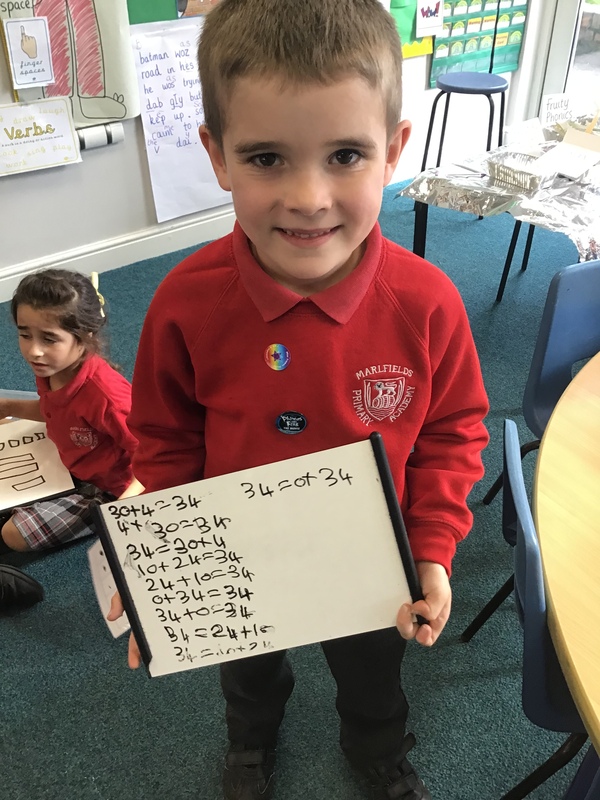 In our Maths work this week we have been using the part part whole representation to solve addition number problems. 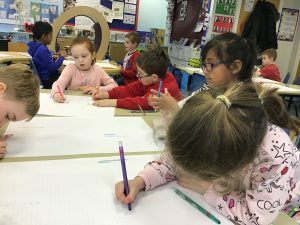 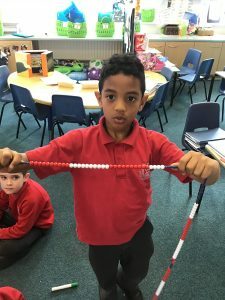 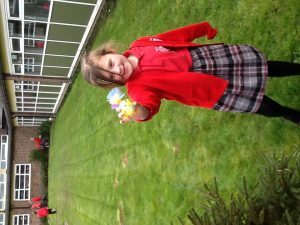 In our Science work we have been continuing with learning about different materials. 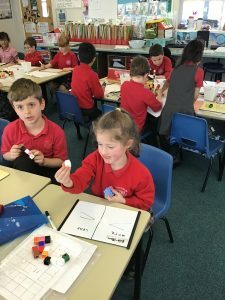 We have learnt about what objects are magnetic. 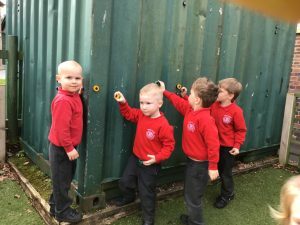 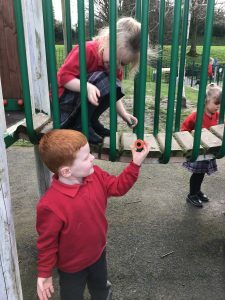 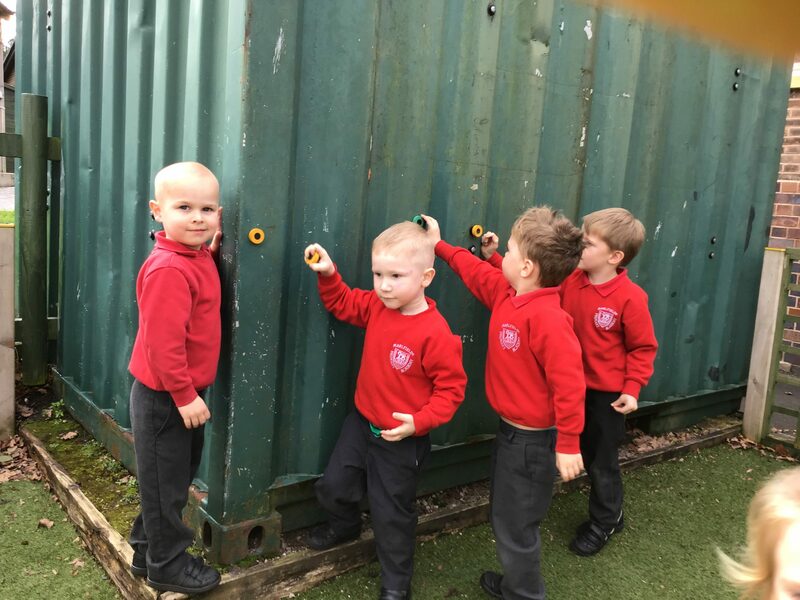 We went on a magnetic hunt using magnets. Today Nursery have enjoyed visiting people who help us. 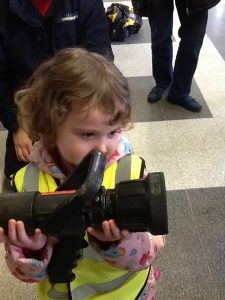 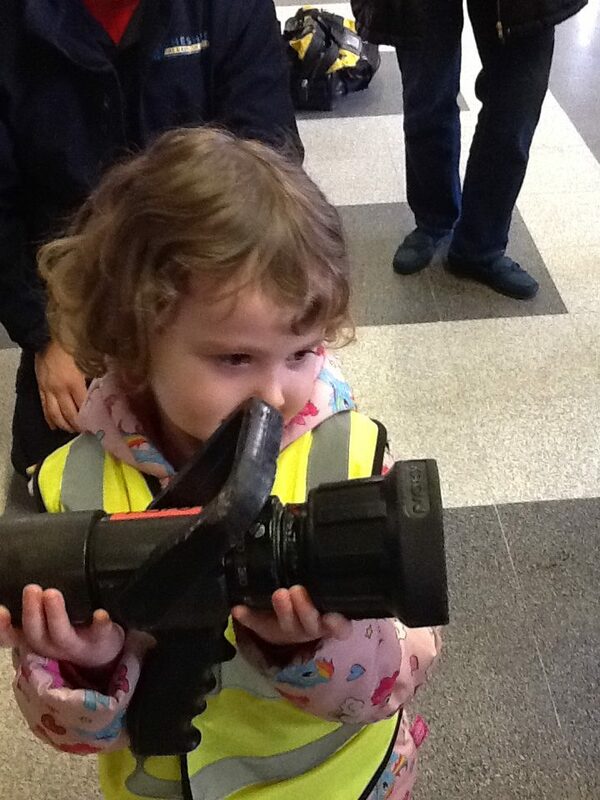 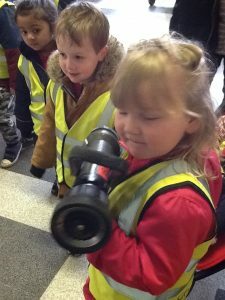 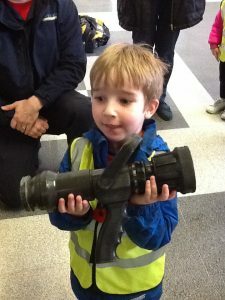 We went to see the firefighters at the fire station and saw the fire engine. 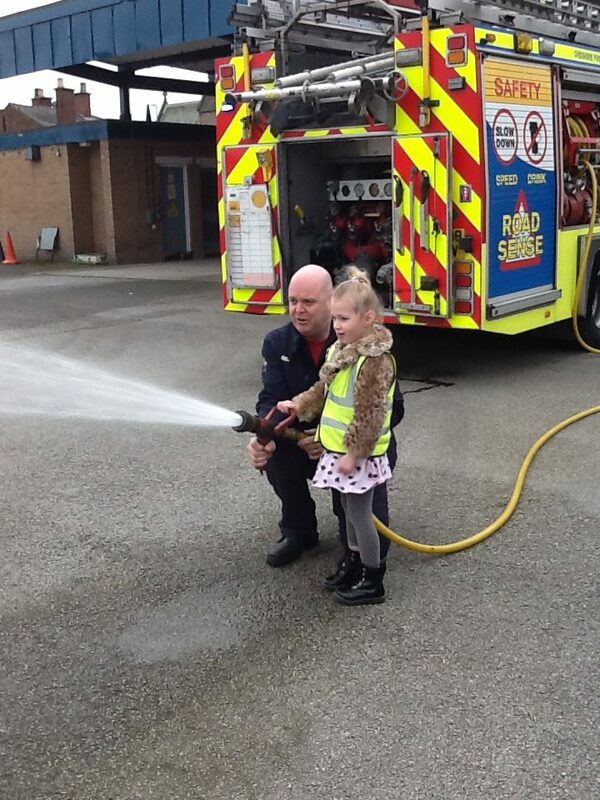 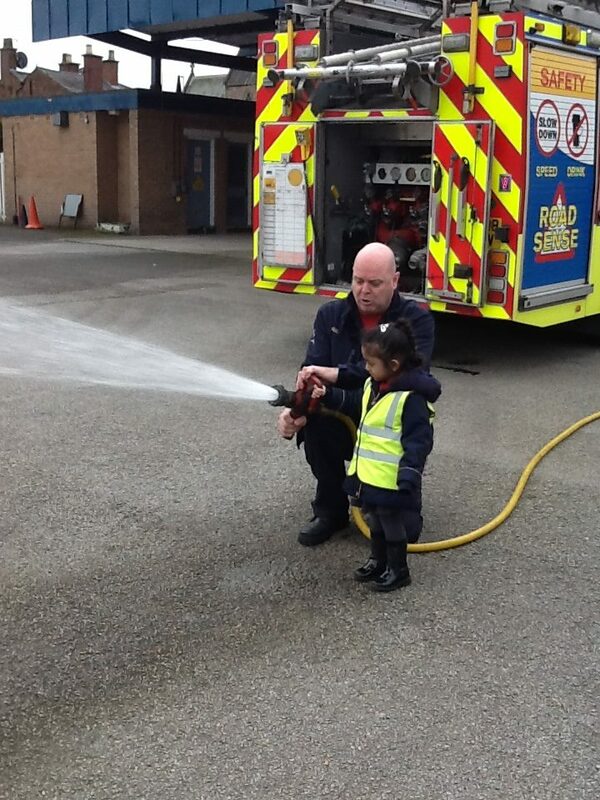 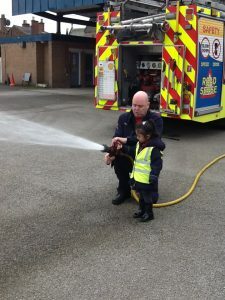 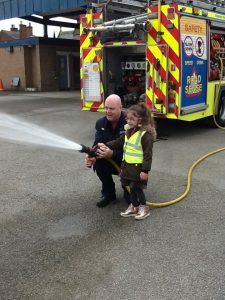 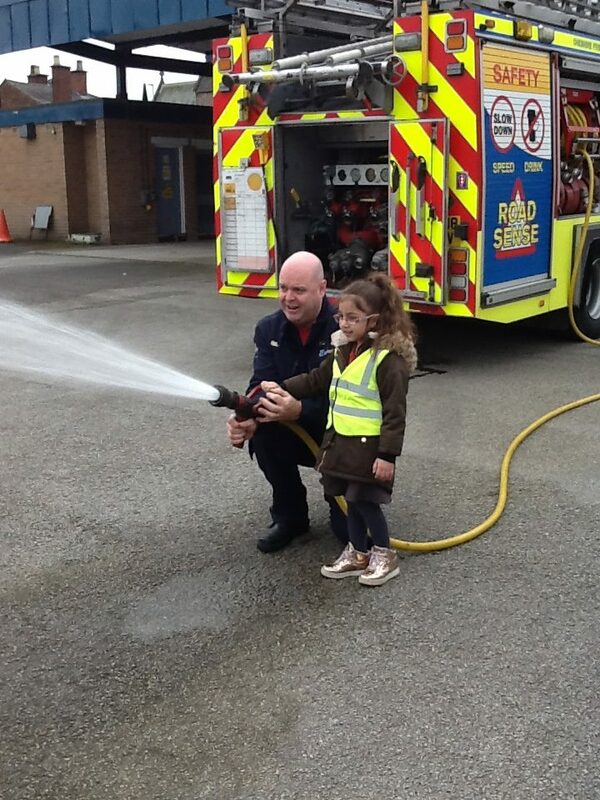 We learnt about what the firefighters have to wear when there is a fire and we even got to fire the water. 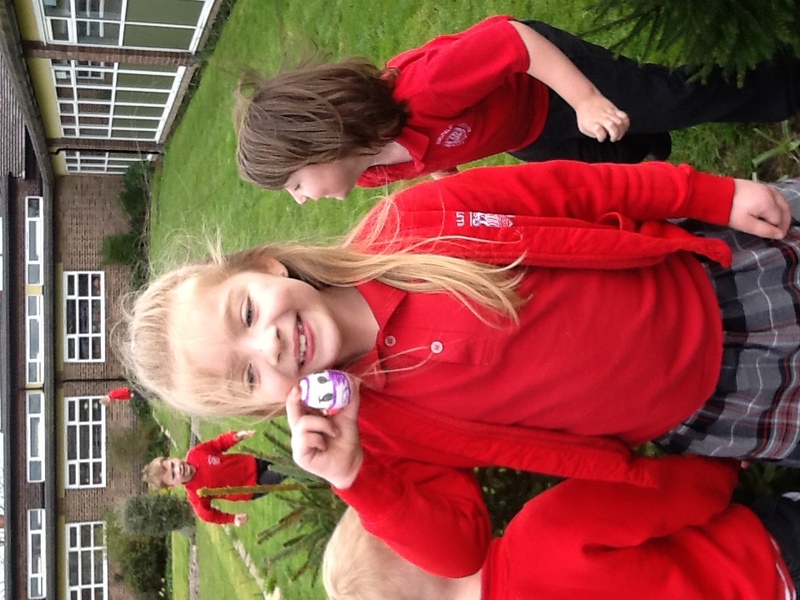 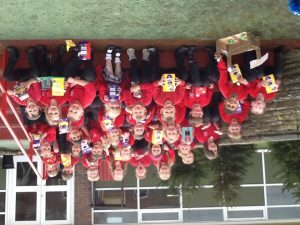 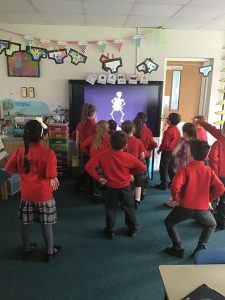 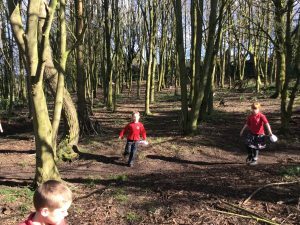 We then walked sensibly back to school to enjoy our healthy snack!